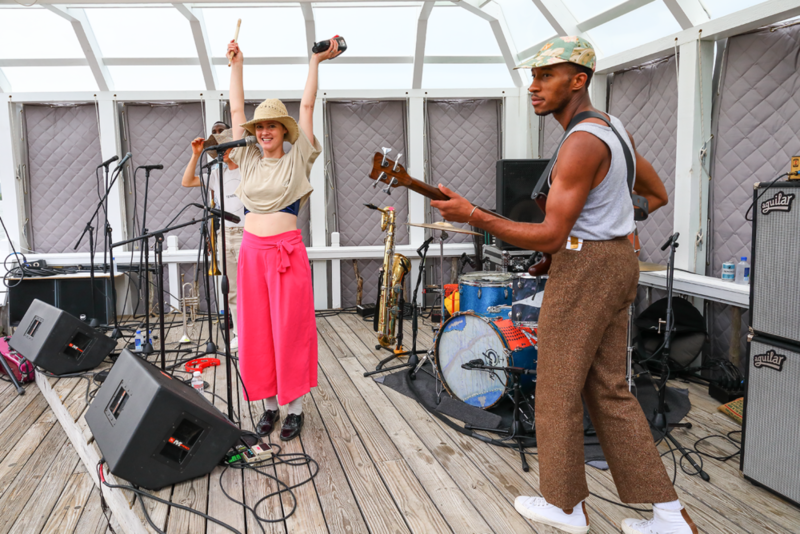 Personally having never been to Montauk or the famed Surf Lodge, I was curious what the scene would entail as the train sped away from the city. 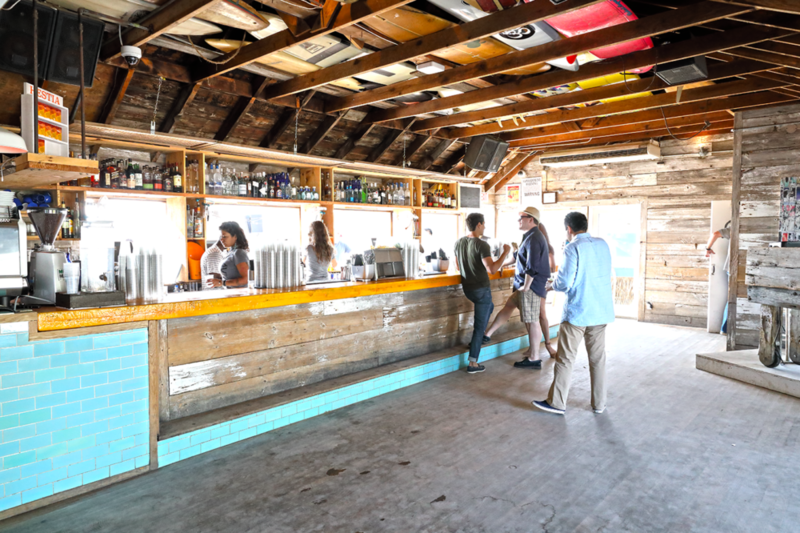 Visions of a crowded and expensive bar flooded my head as well as possibly being “out of place” as I’m not a rich dude that can normally afford a trip out east. 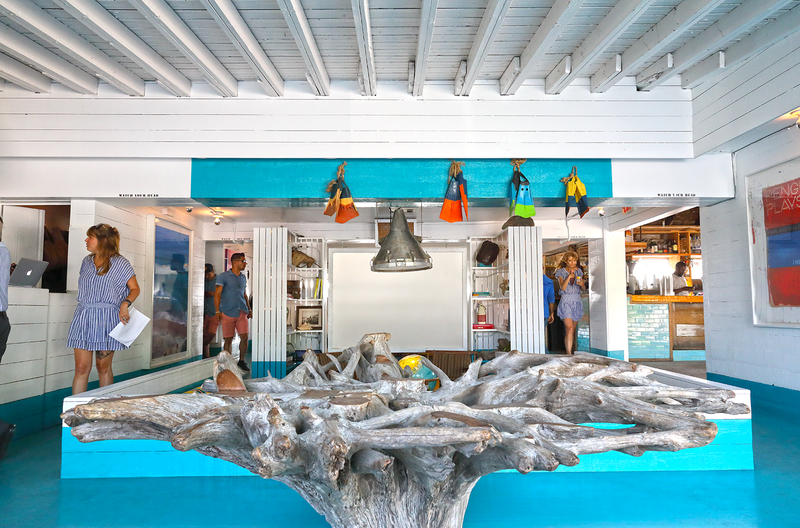 But as soon as I stepped into the bright and inviting open-floor plan of The Surf Lodge and was welcomed with a smile and a friendly attitude, that feeling dissipated immediately. 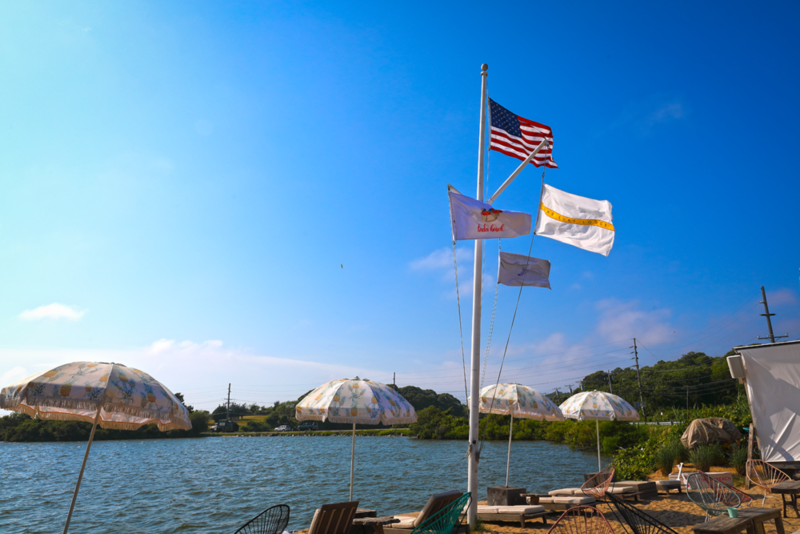 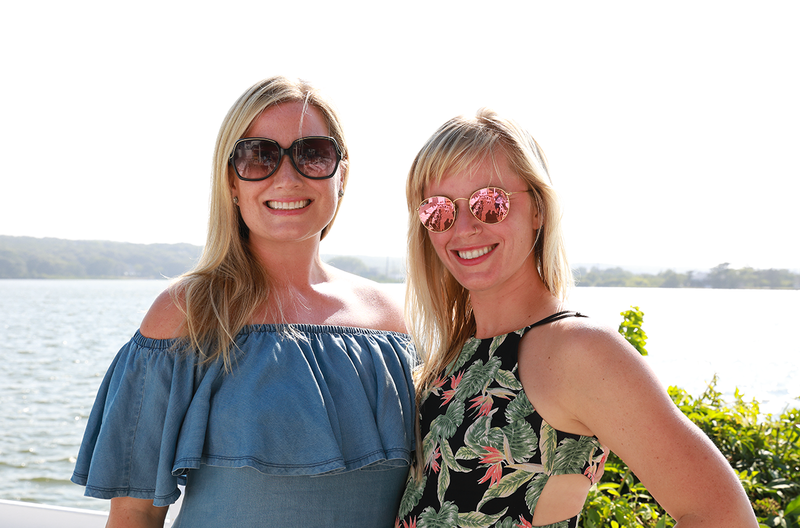 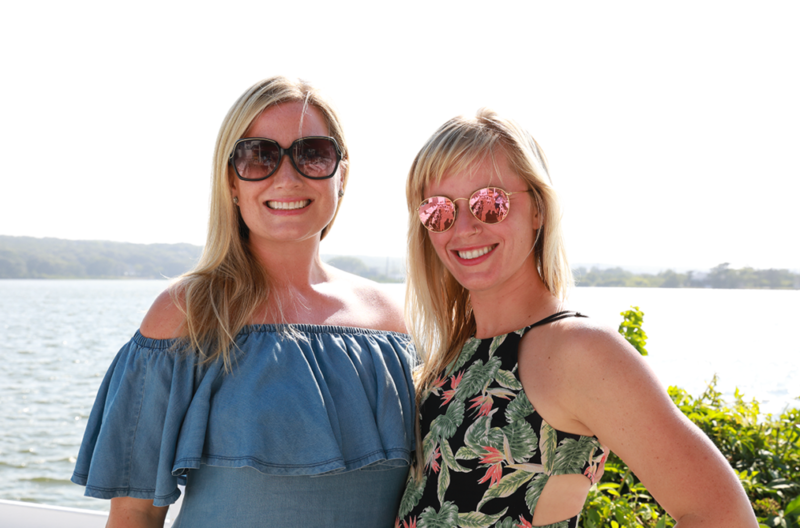 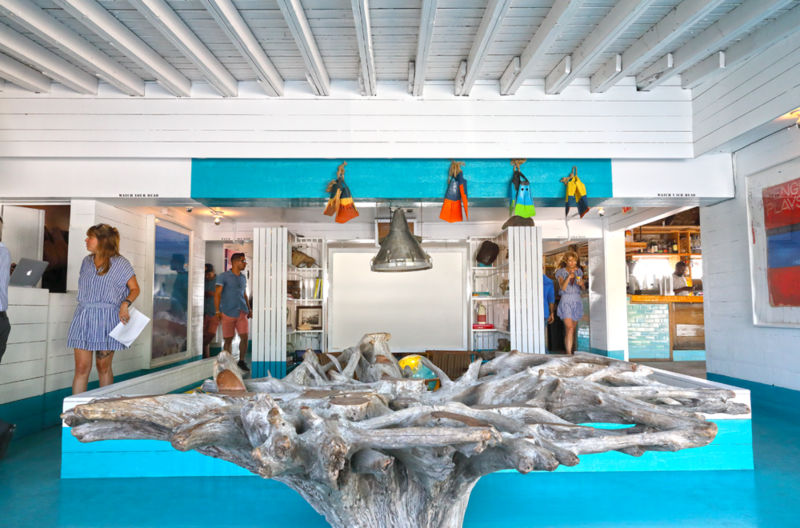 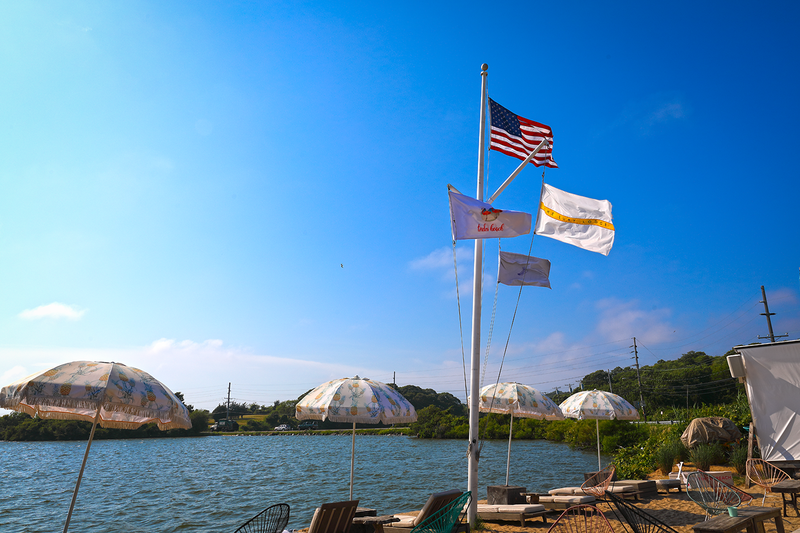 Having grown up on an island in New England, I felt at home with the décor and easy flowing layout with multiple bars, a beach complete with a fire pit, and a staff that will meet or exceed your every whim or request. 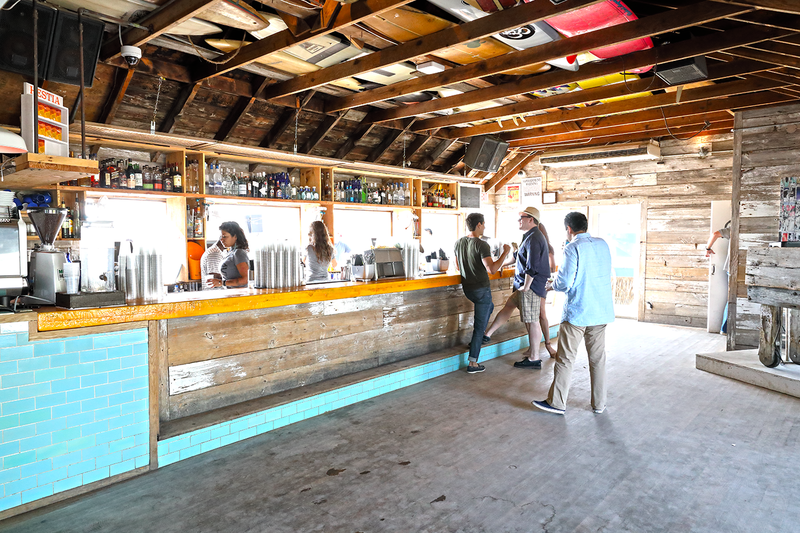 The multiple bars inside and out, in fact, were not that expensive and the beer was ice-cold as I enjoyed the peaceful views while the band’s started their sound-checks. 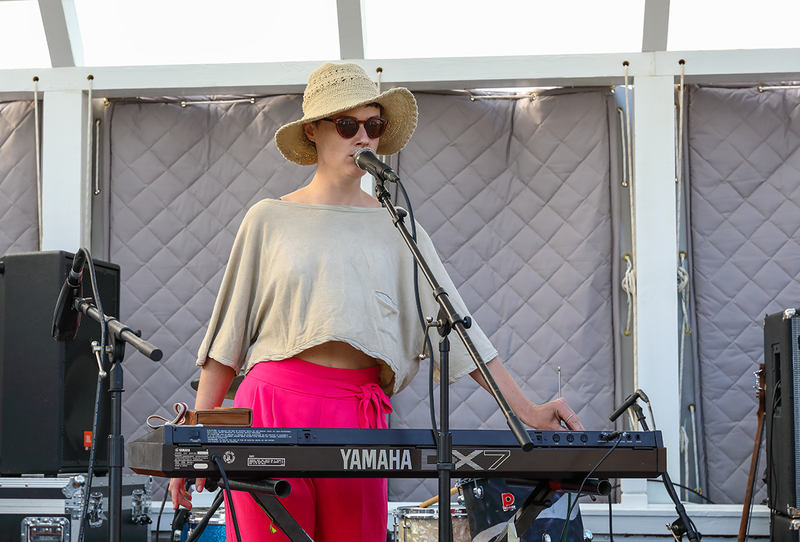 Shortly after 5pm, Kalbells took to the stage and played new songs off their upcoming and impressive, debut LP “Ten Flowers.” While their sound may sound familiar to Rubblebucket fans with impressive harmonies and evocative lyrics, it is a different animal altogether, one that is a little softer and possibly a bit more fragile in nature. 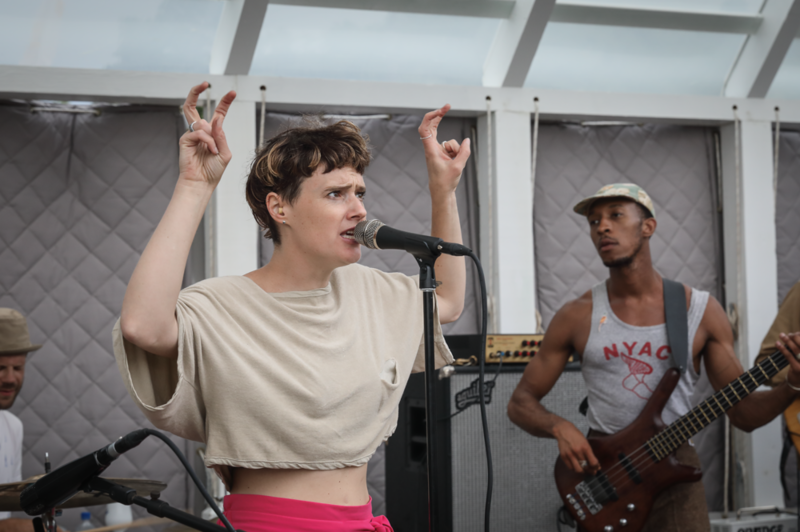 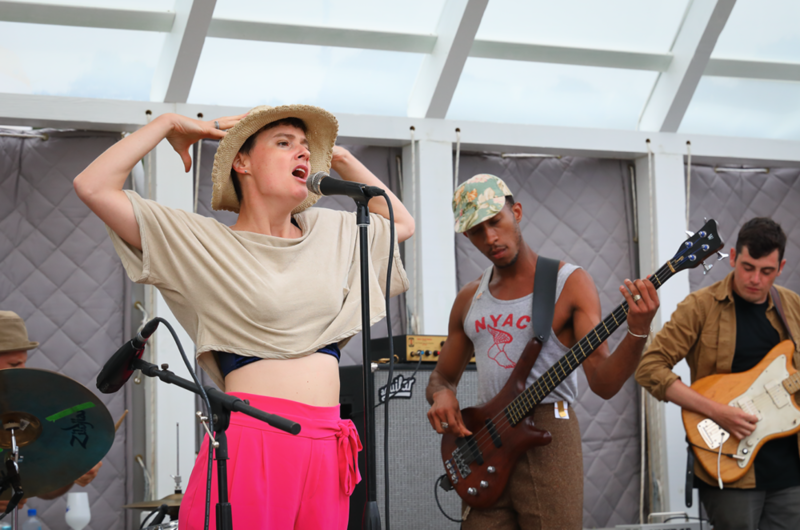 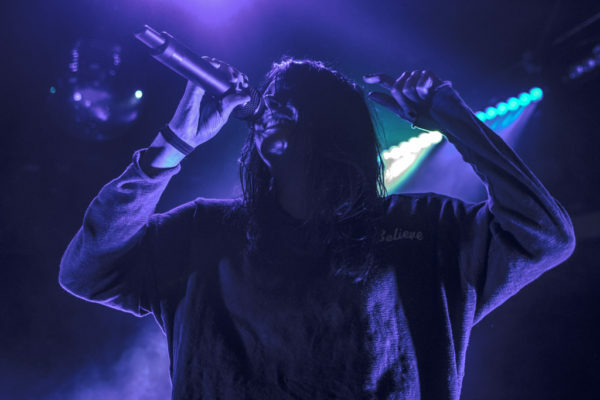 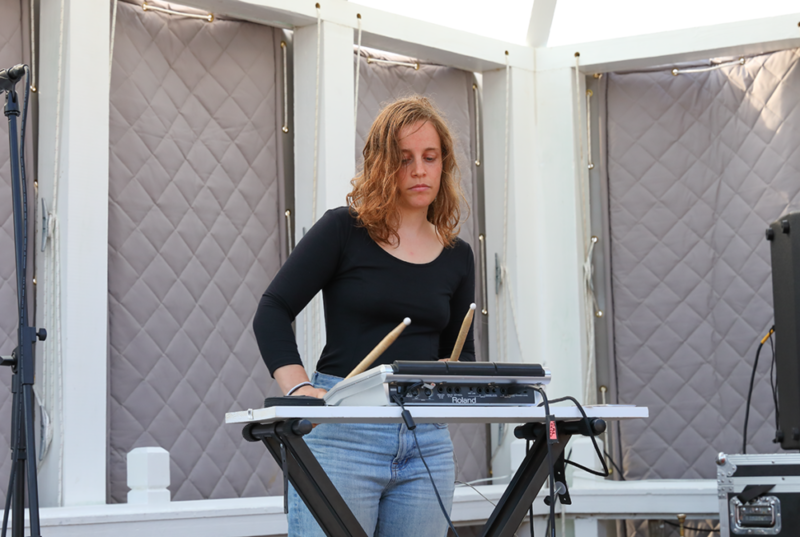 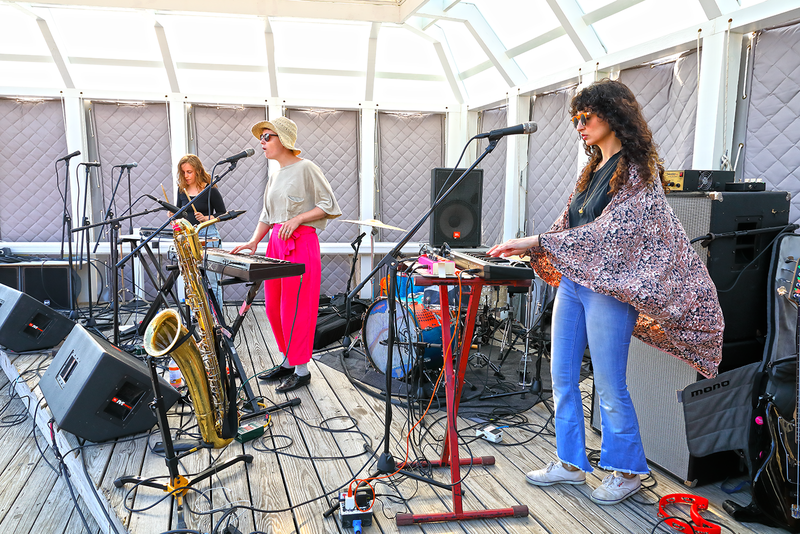 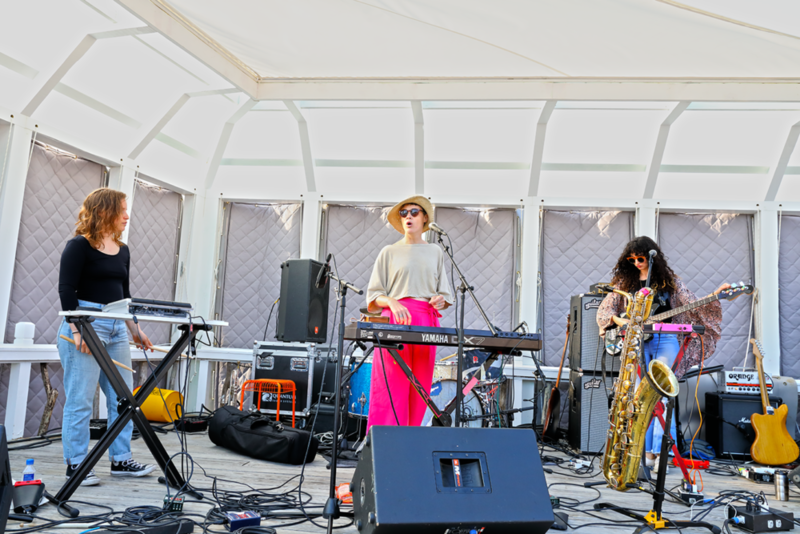 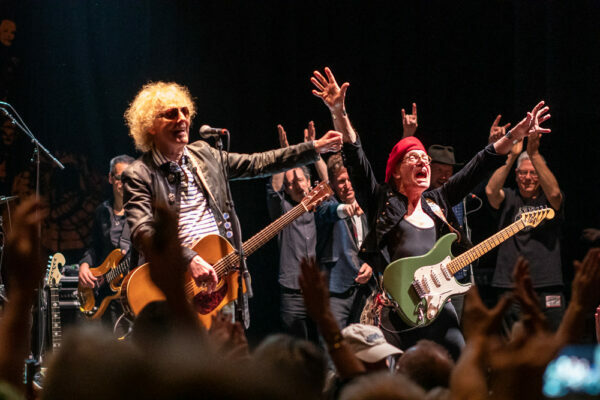 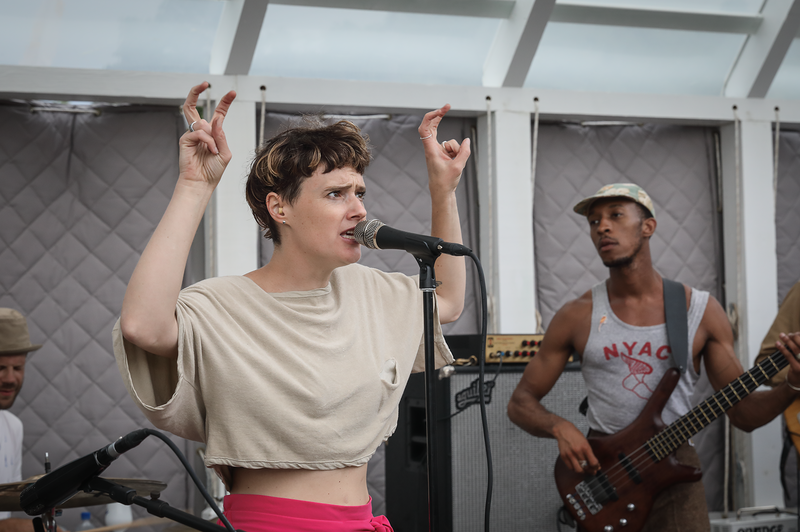 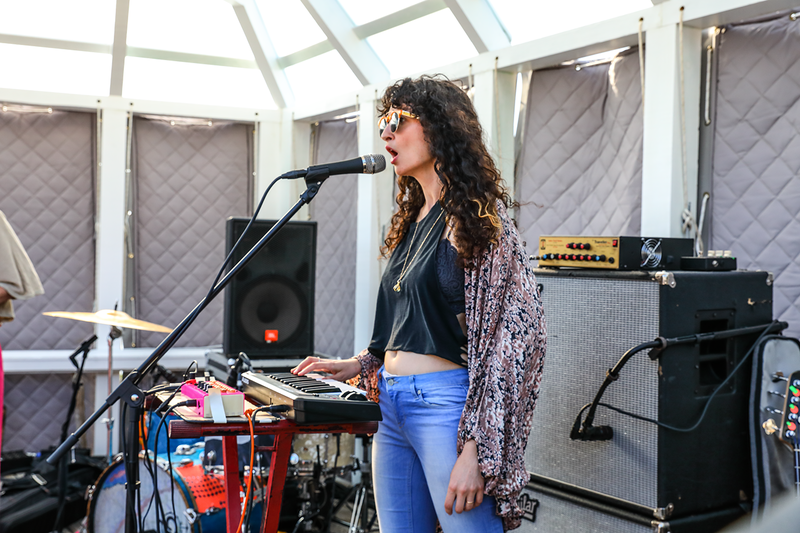 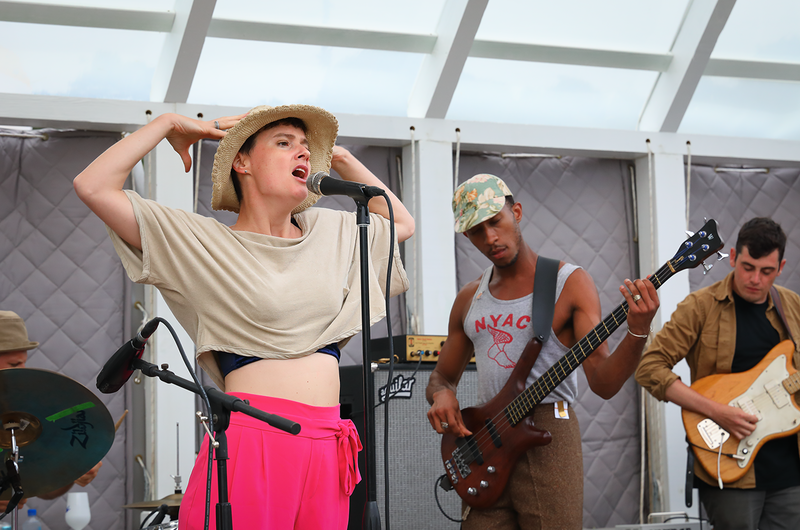 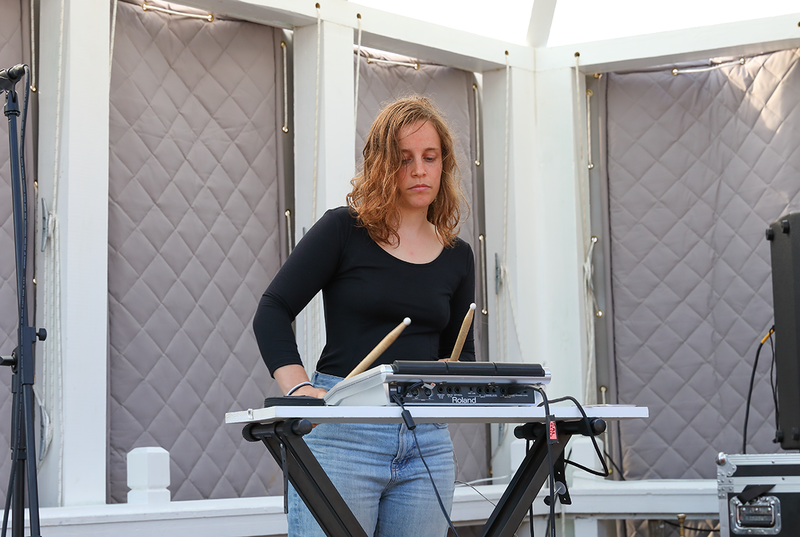 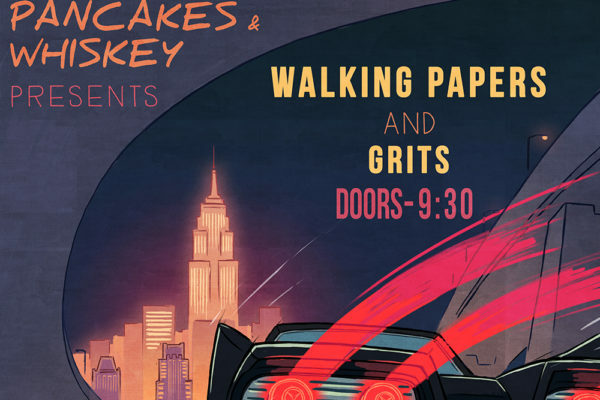 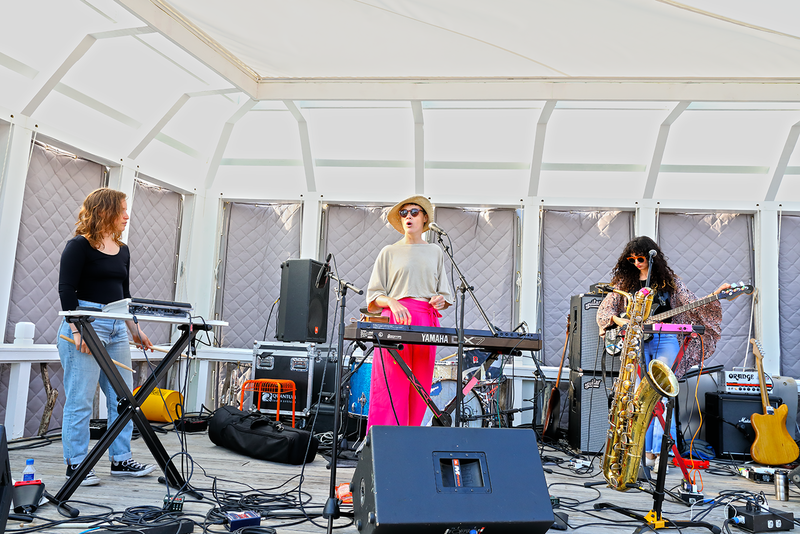 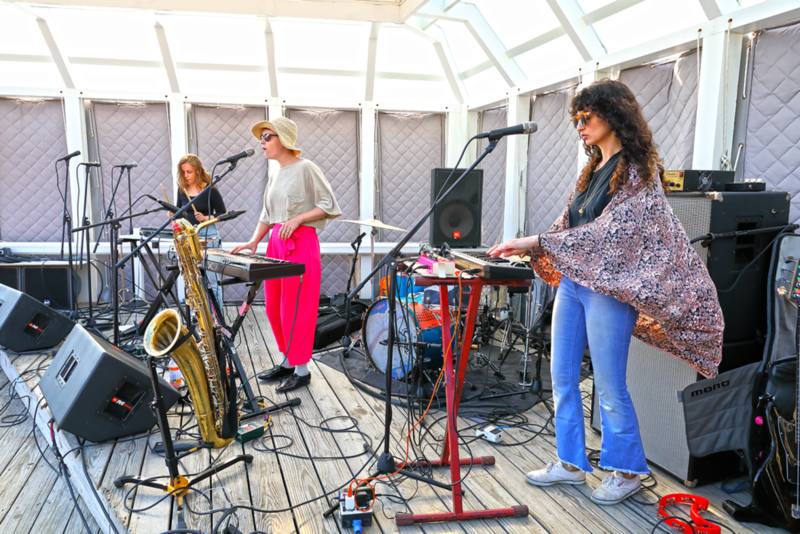 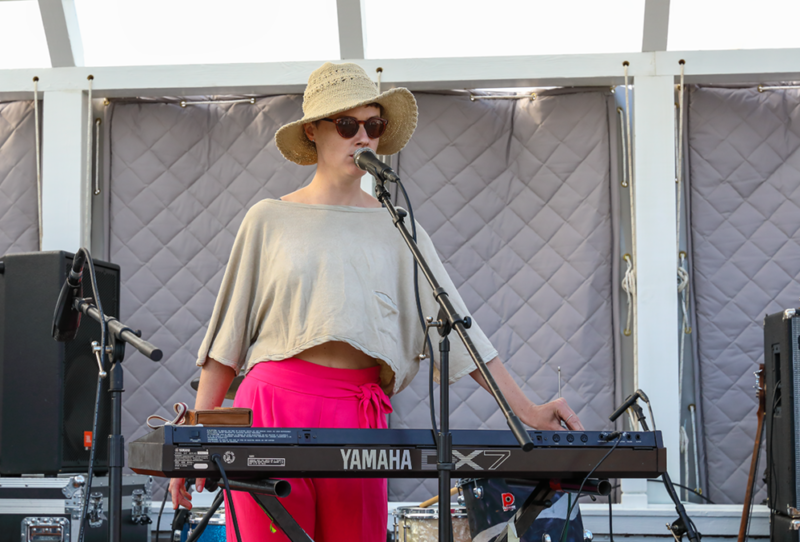 The highlight of their set was the trippy number called “Craving Art Droplets,” which featured deep-synths and fun percussion that wrapped around Kal’s airy vocals which induced the hips to sway. 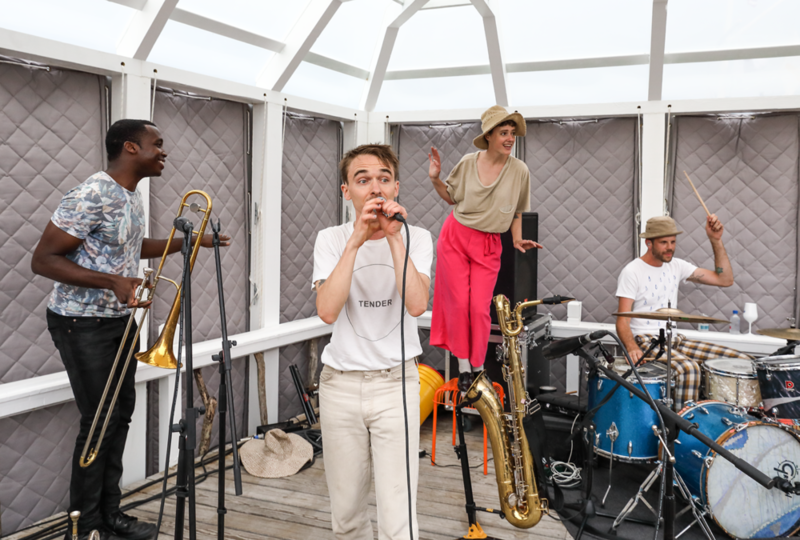 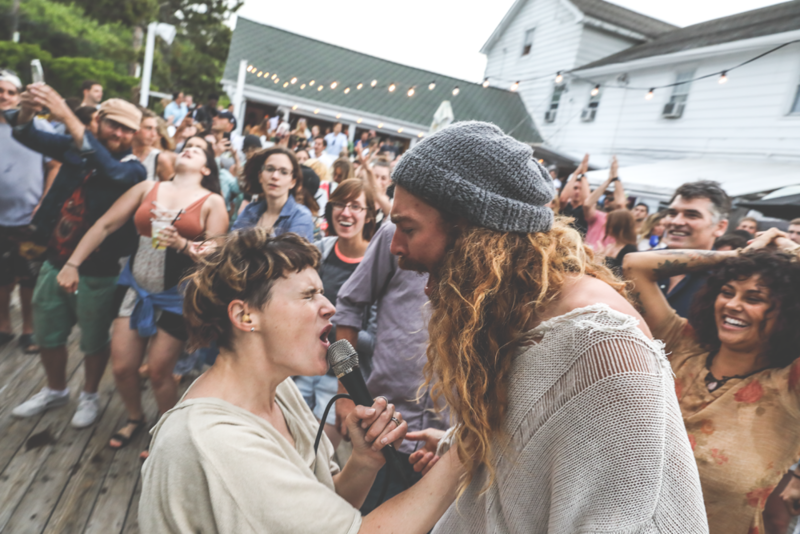 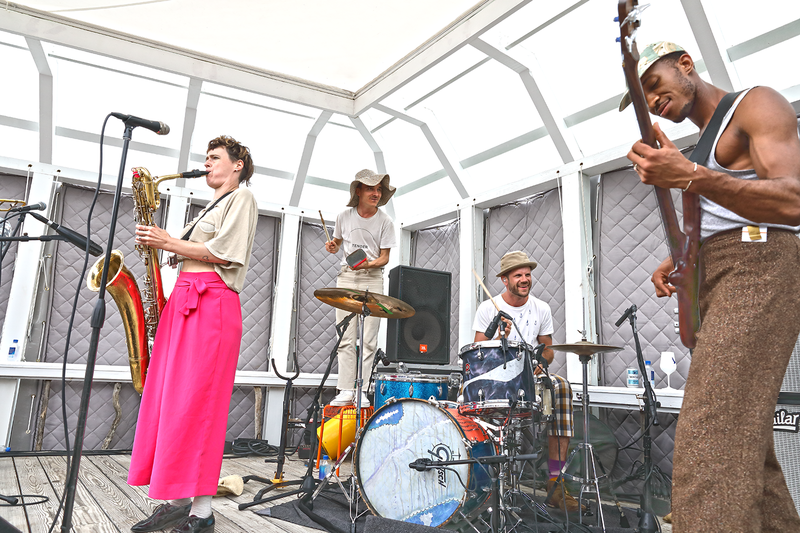 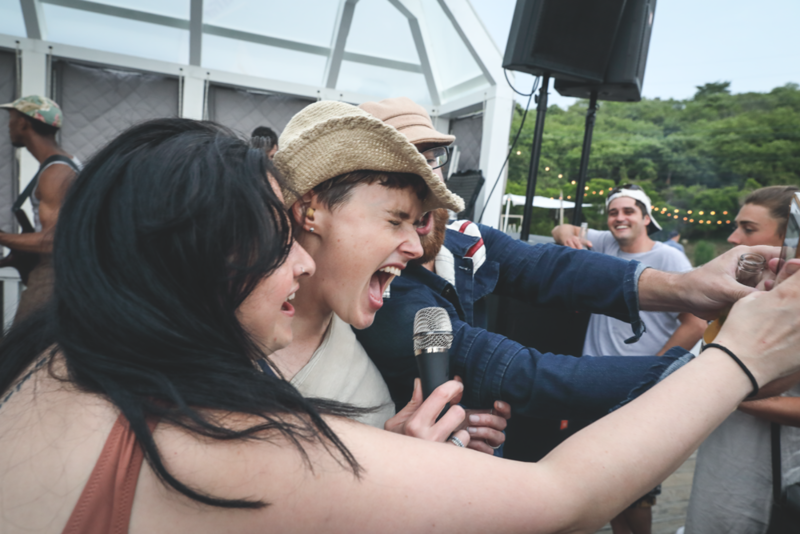 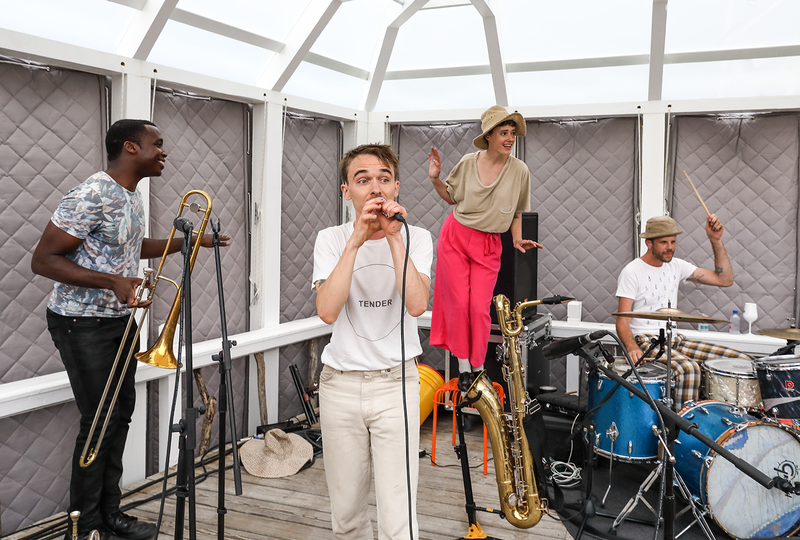 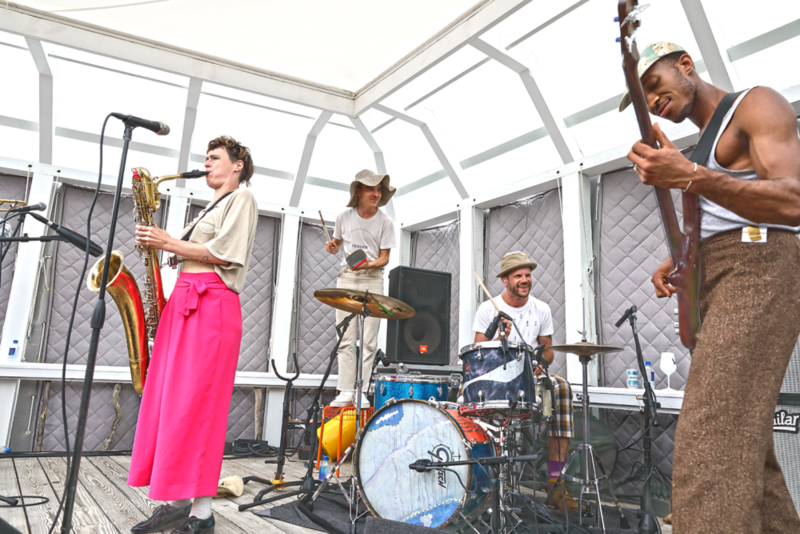 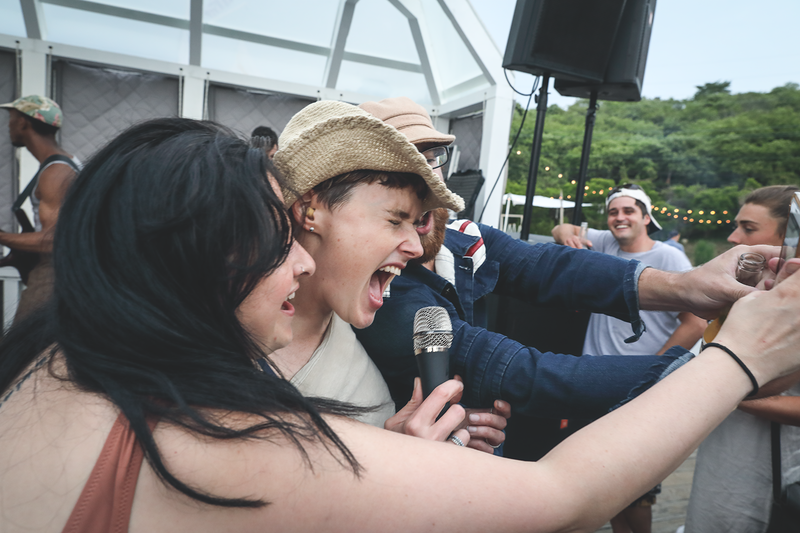 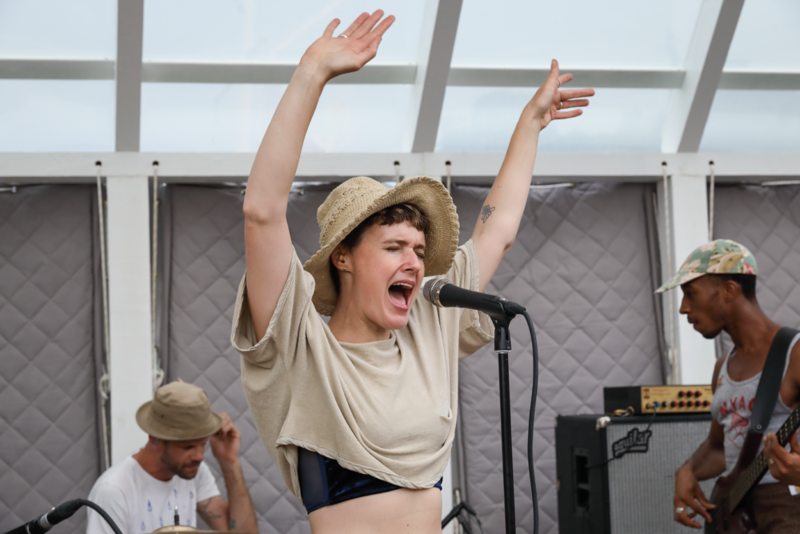 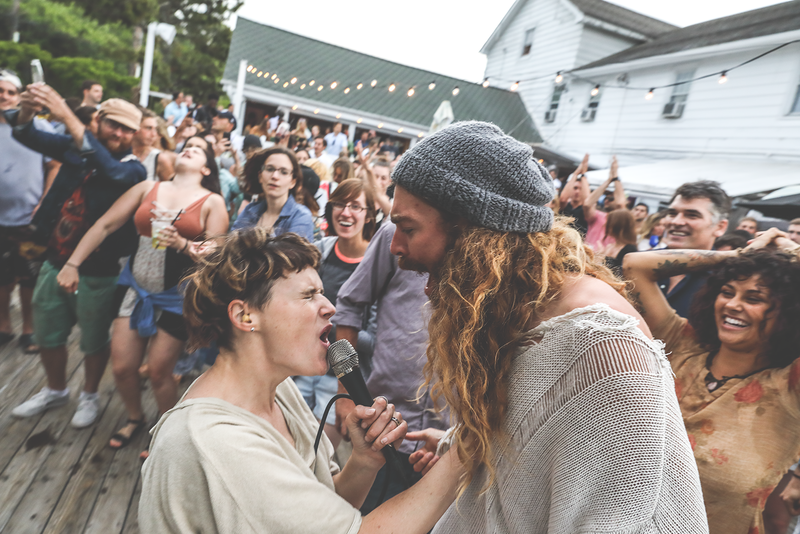 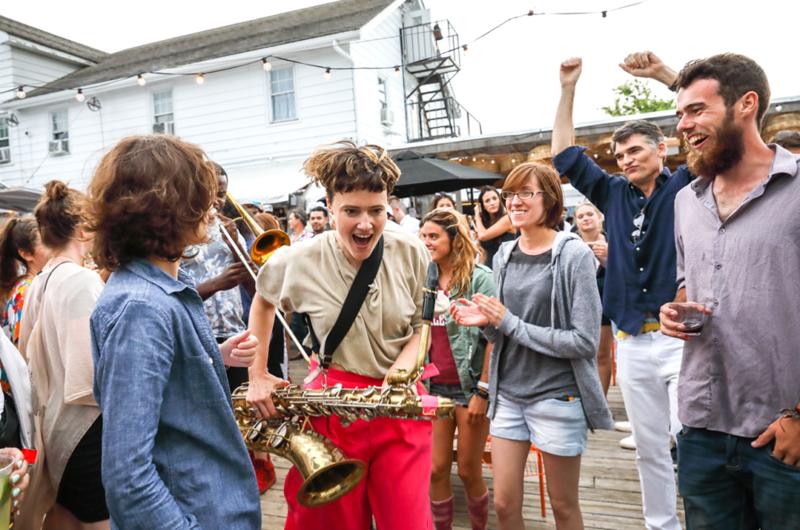 By the time Rubblebucket ambled on to the stage, The Surf Lodge had filled up with a handsome crowd of music lovers and diners; whether they were there for the food or the music it didn’t matter because by the time the band ended their impressive set 90 minutes later – it was about wailing-horns, jaw-dropping vocals, dancing, and a vault full of smiles that would carry deep into the night. 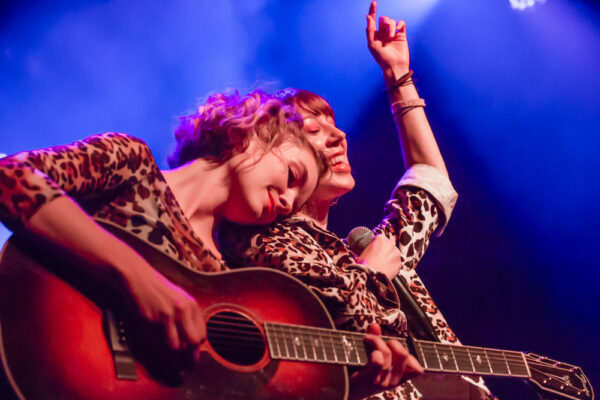 The 90-minute set featured mind-numbing versions of “Came Out Of A Lady,” and “Pain From Love,” the latter which had a good portion of the sizeable crowd on the ground chanting along with the band about “love, love, love, love.” The highlight of the entire gig for me however, was a glimpse into a brand new song that they played for the first time ever, tentatively called “Lemonade;” which might be the best new song I’ve heard all year, from any band (seriously wait until they drop it). 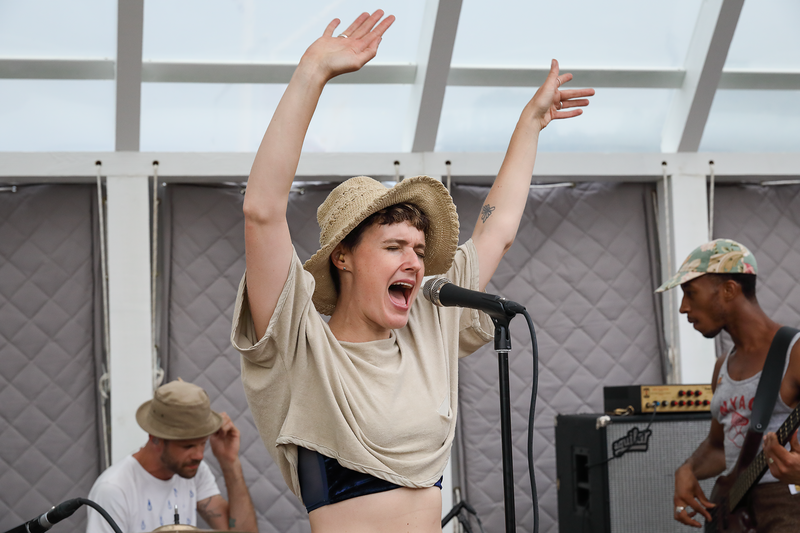 By the end of the energetic set the crowd was enthralled by the perfect combination of a great live-band and the perfect setting – coupled by the fact that Rubblebucket’s massive “sound” fit in perfectly with the beach-y vibes – made for a memorable evening that will keep us coming back each summer for more. 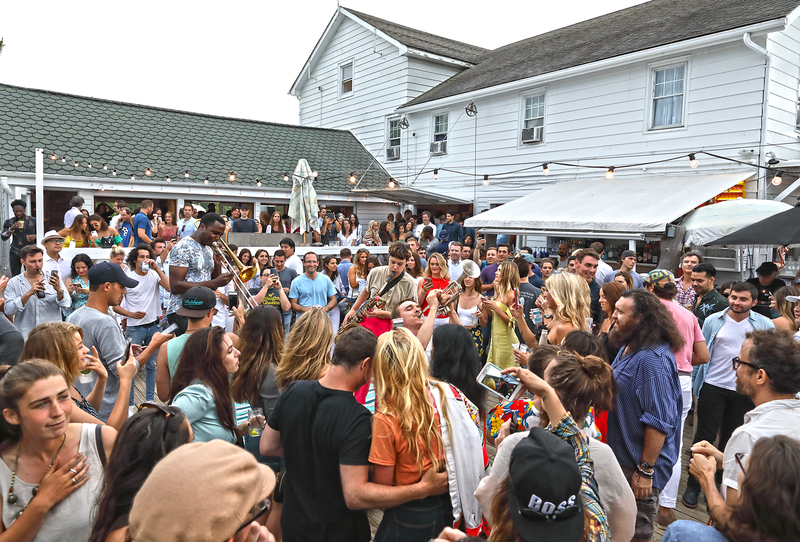 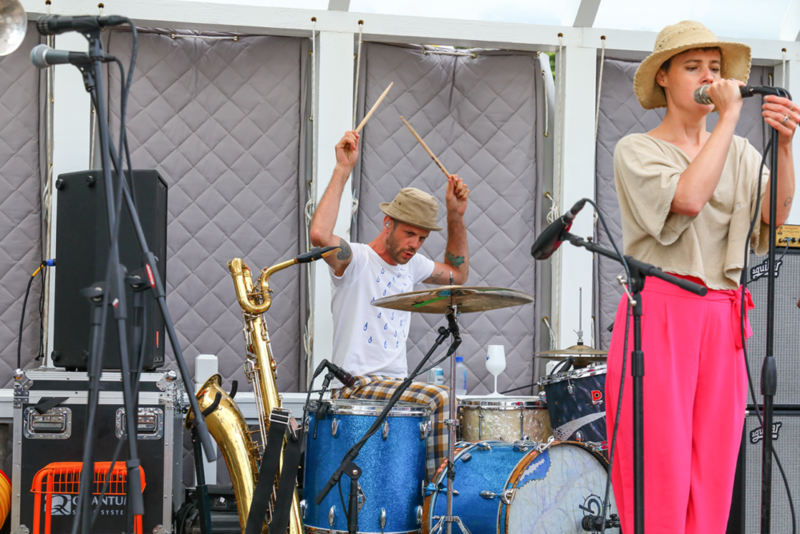 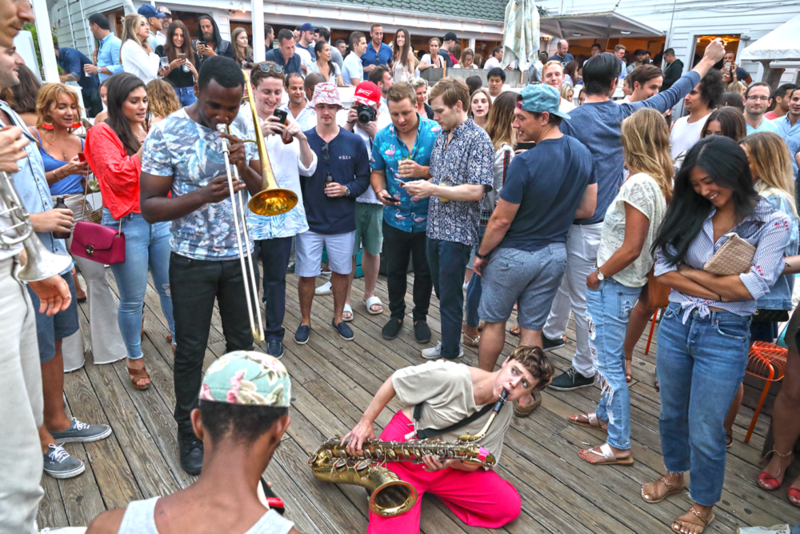 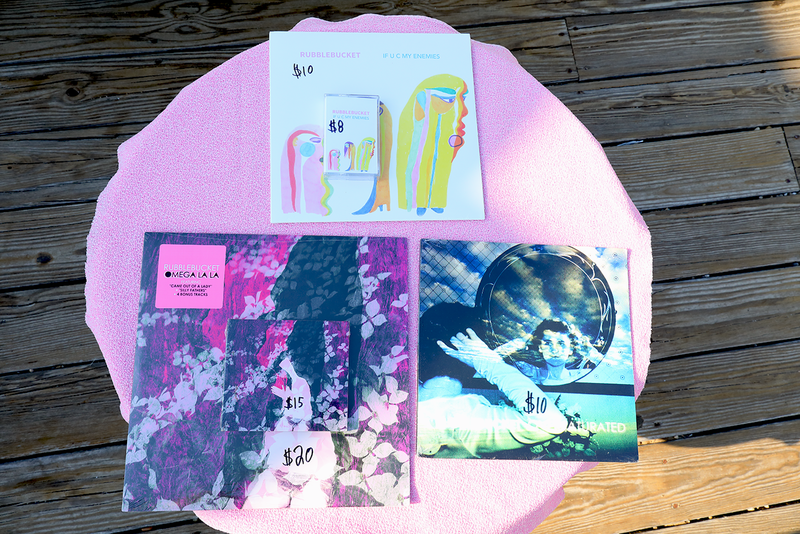 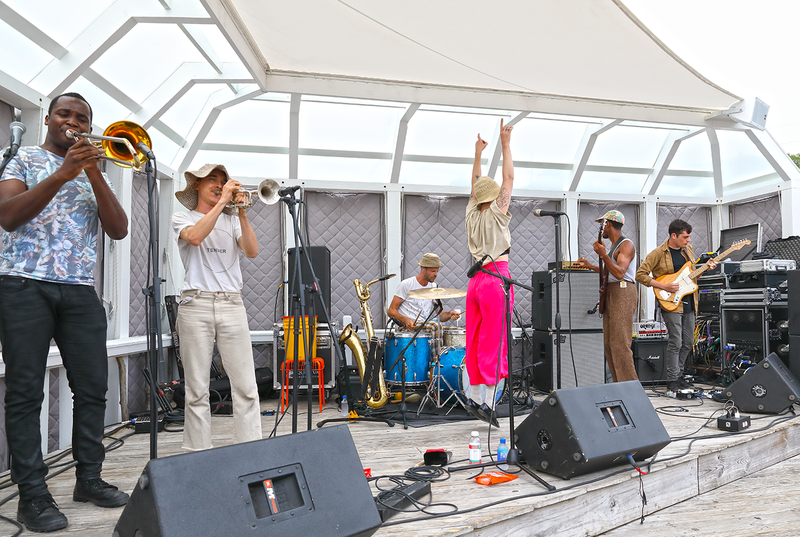 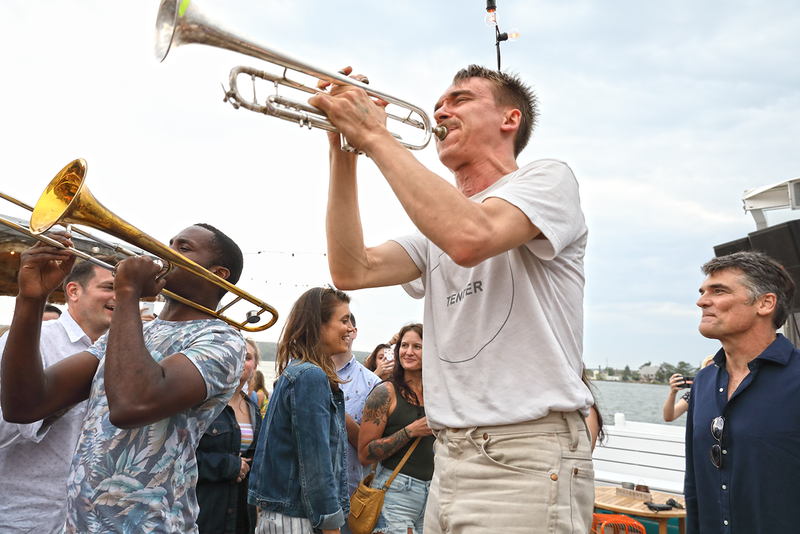 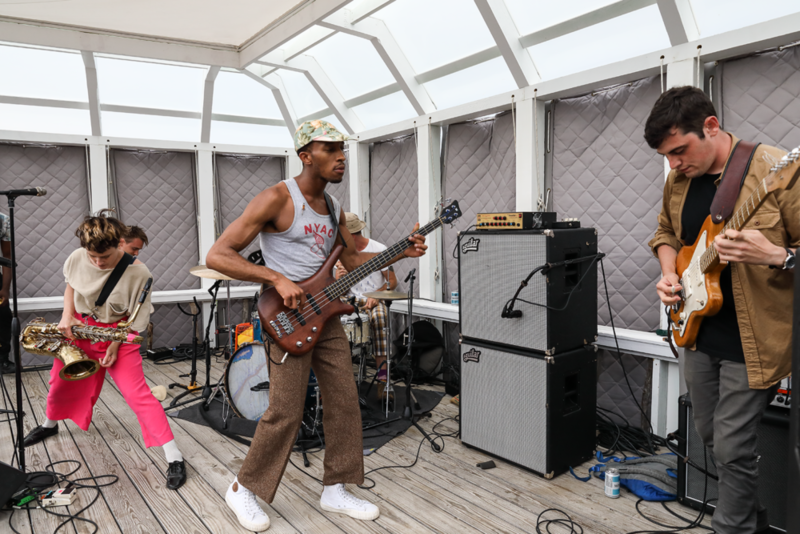 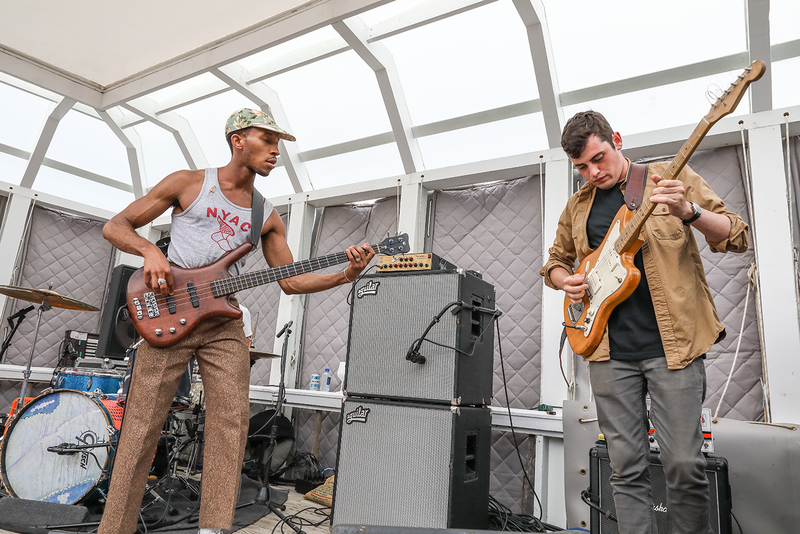 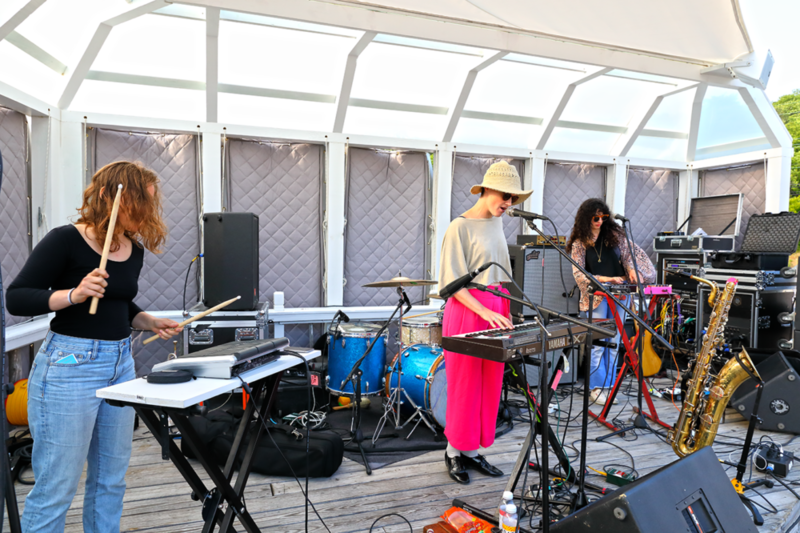 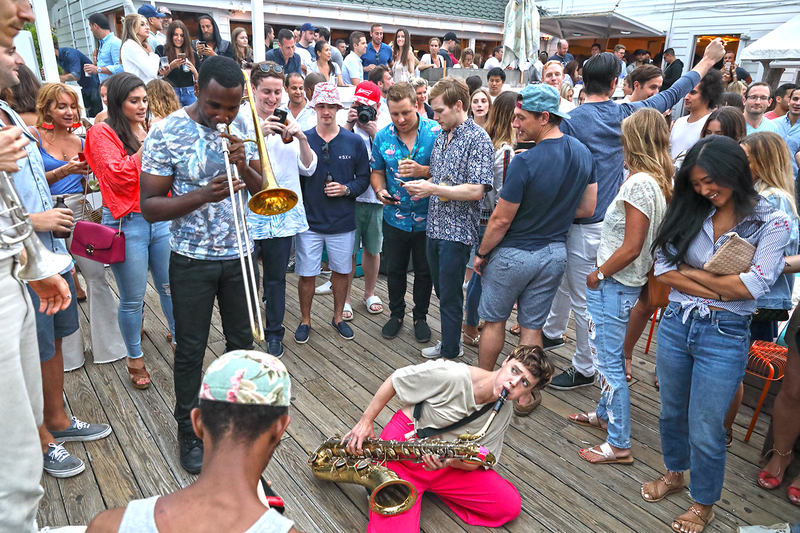 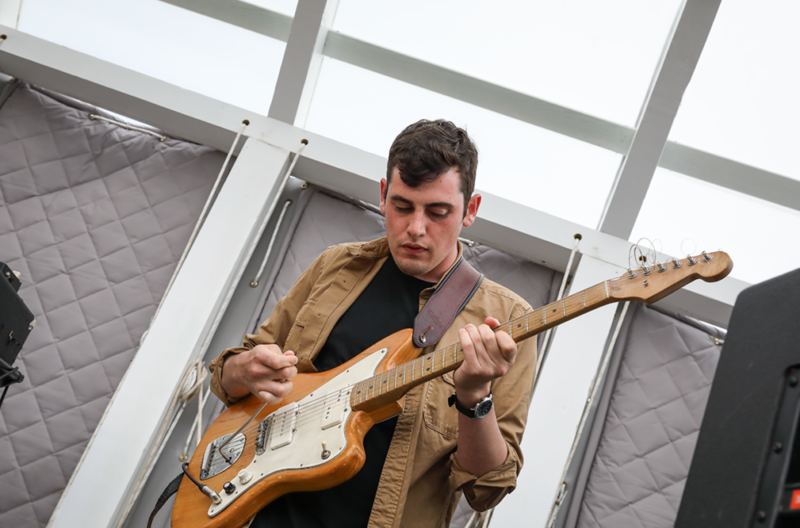 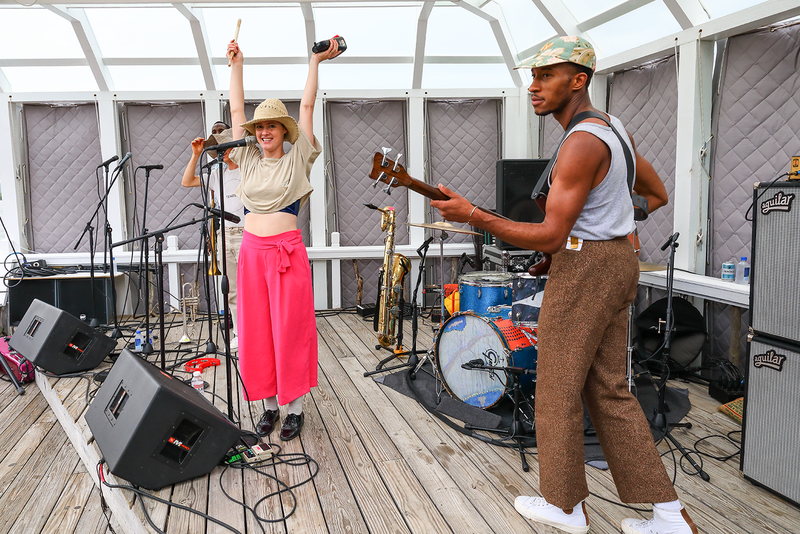 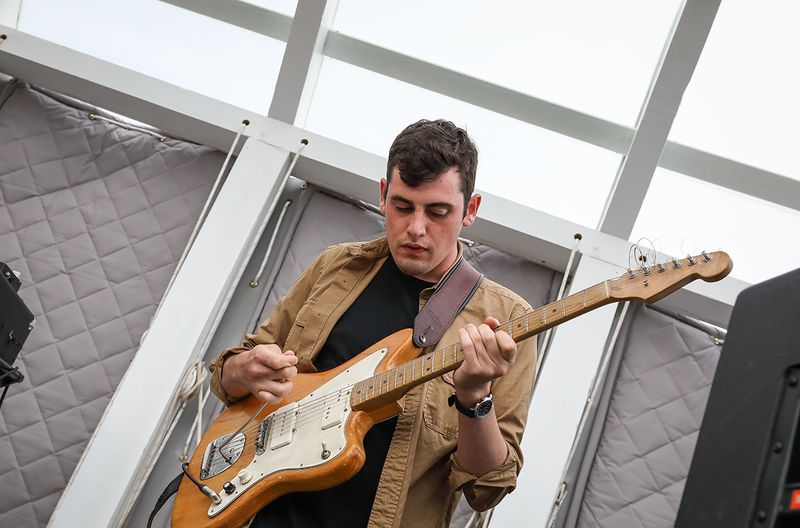 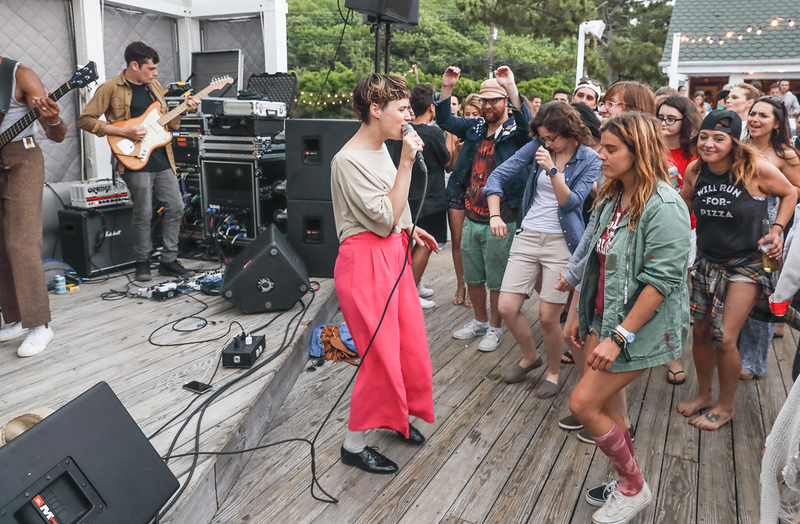 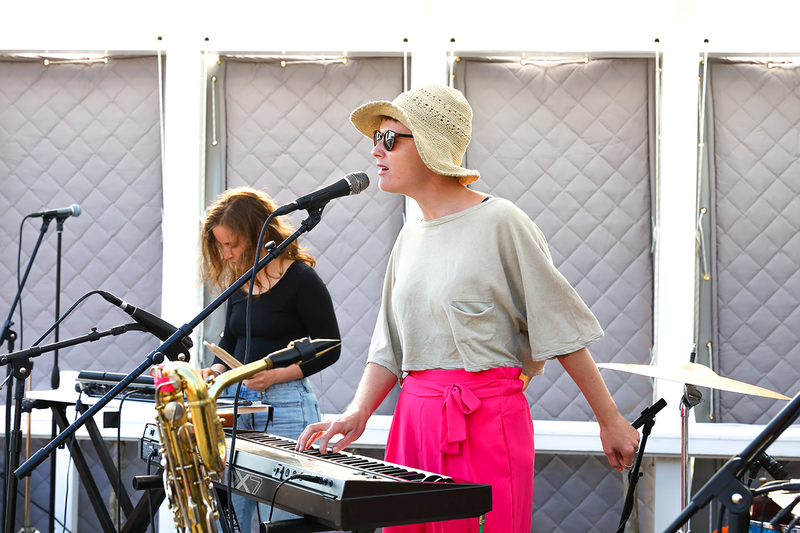 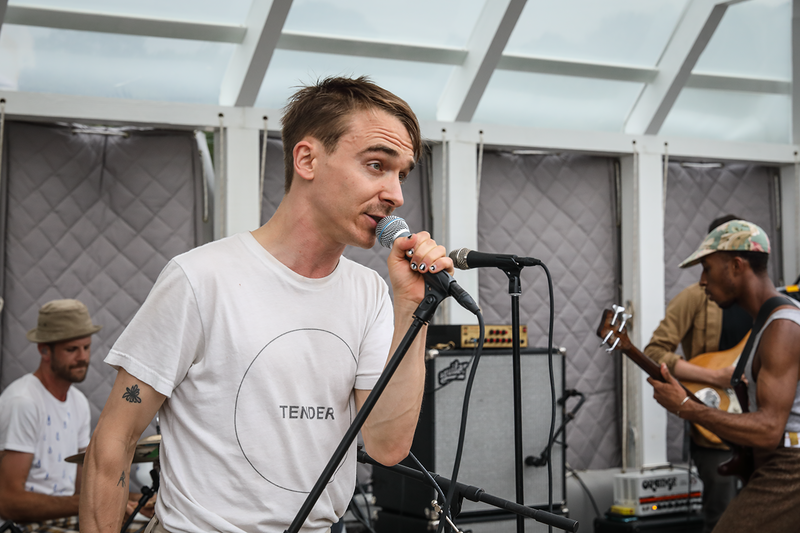 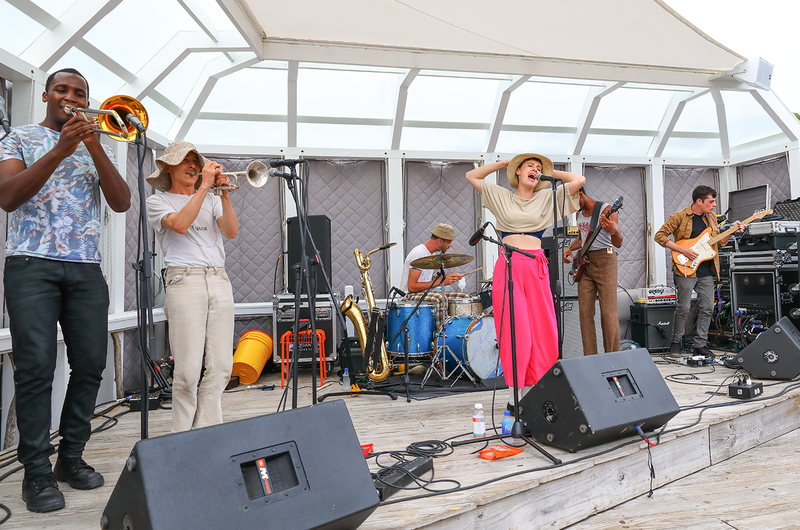 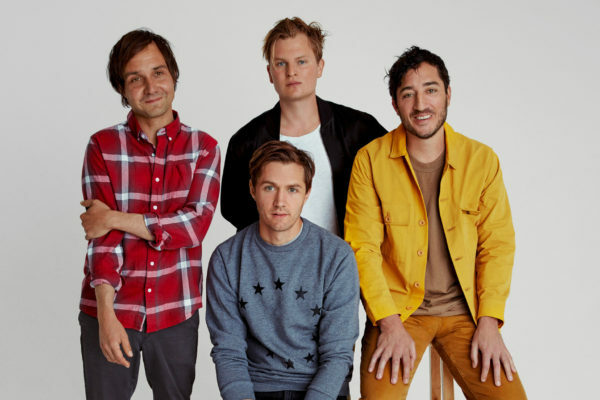 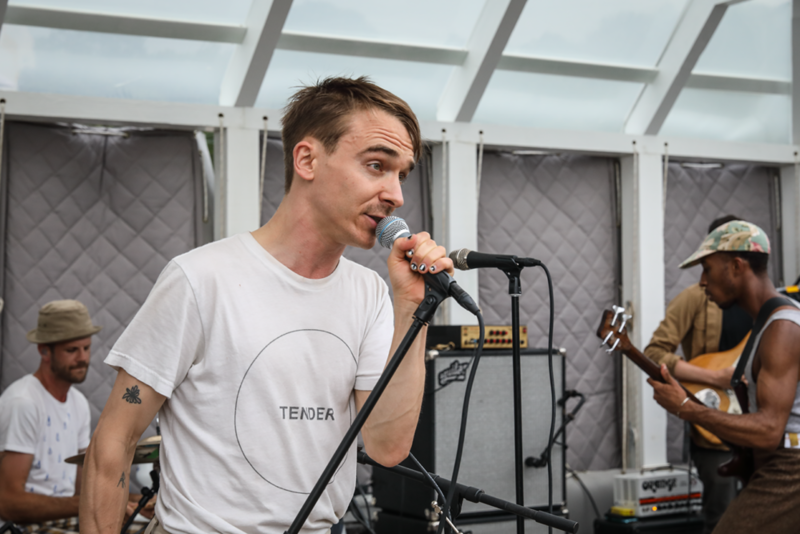 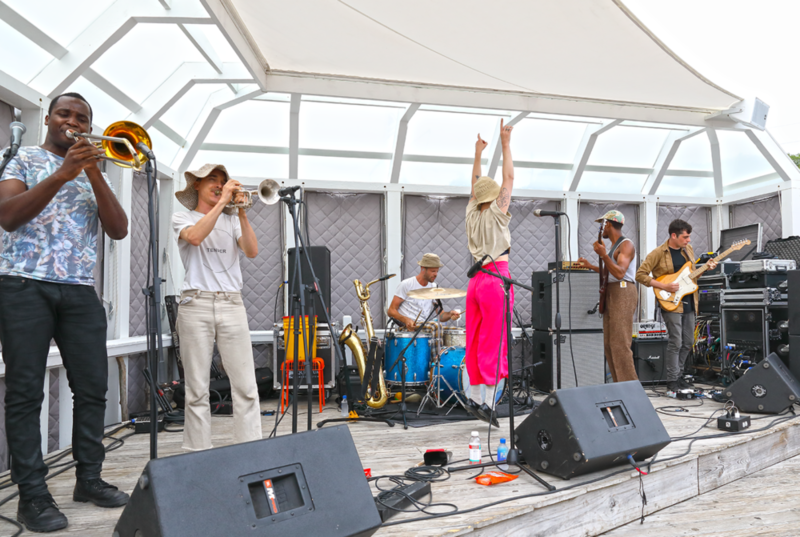 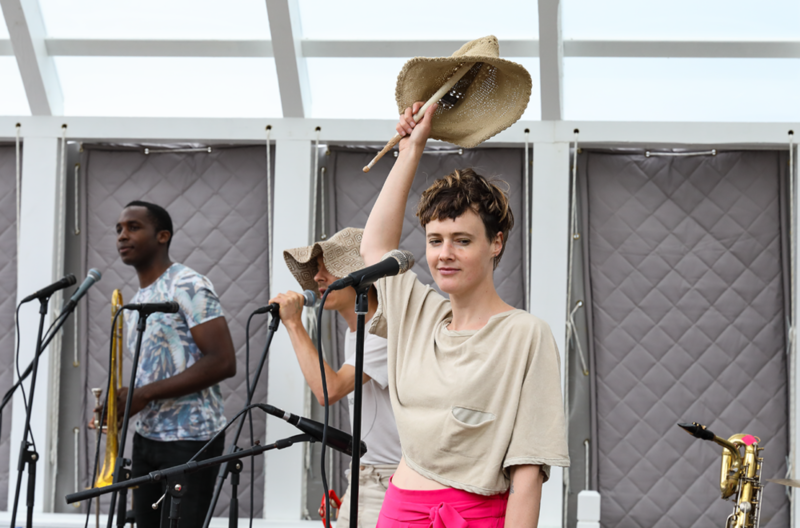 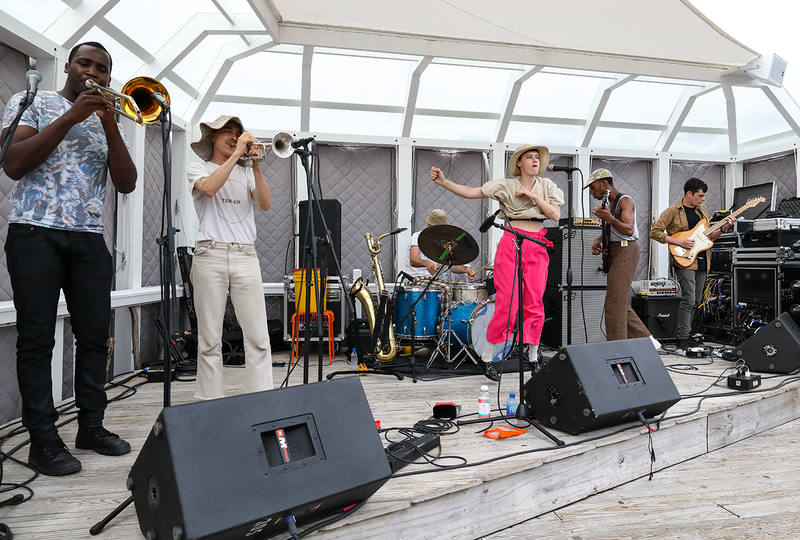 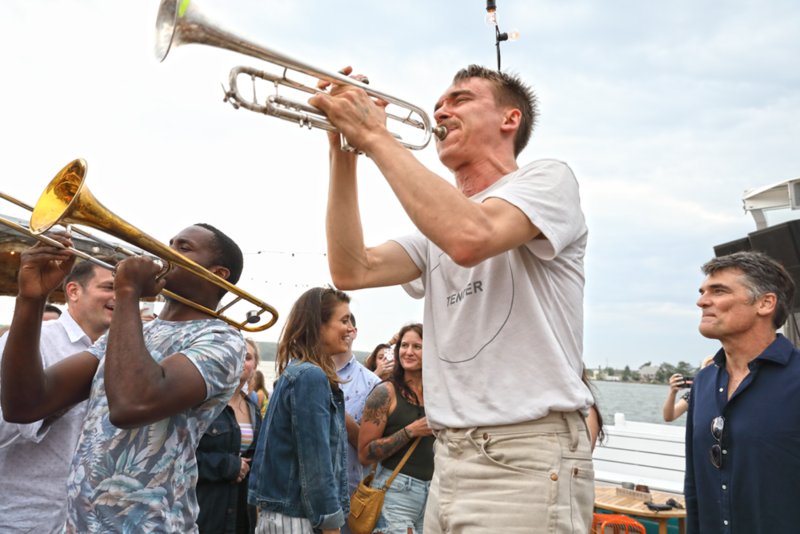 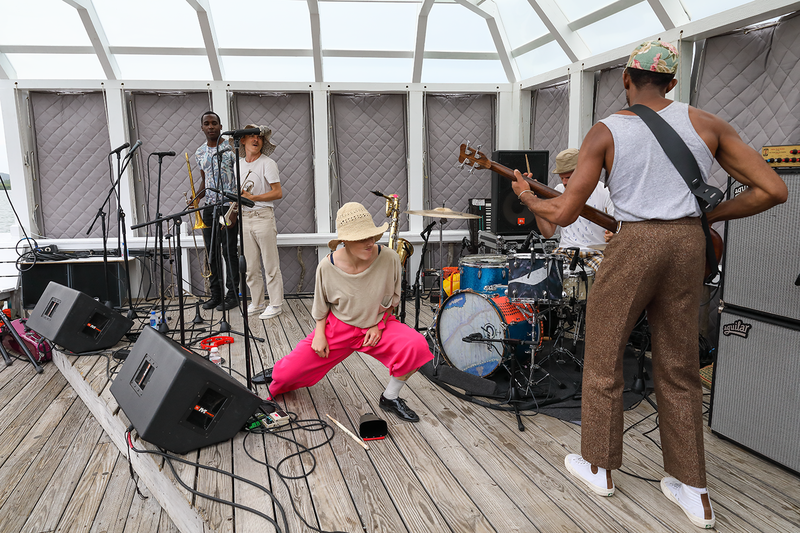 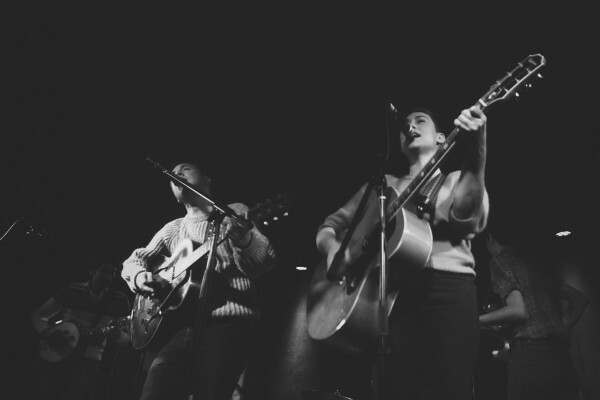 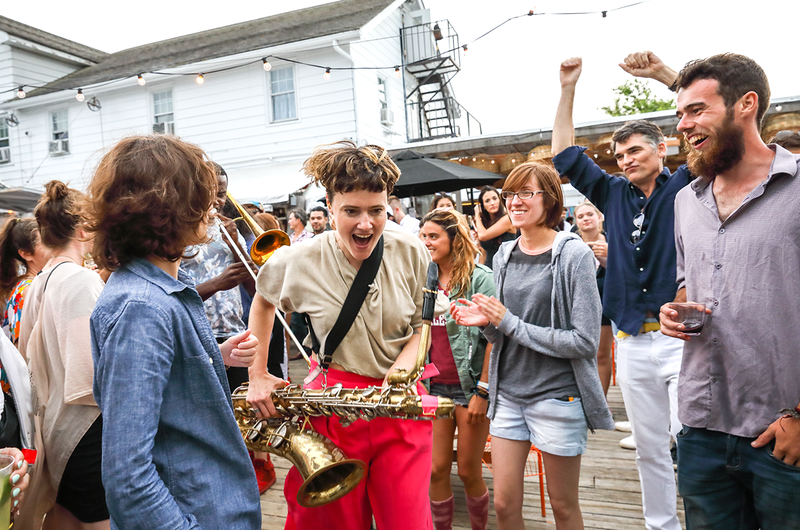 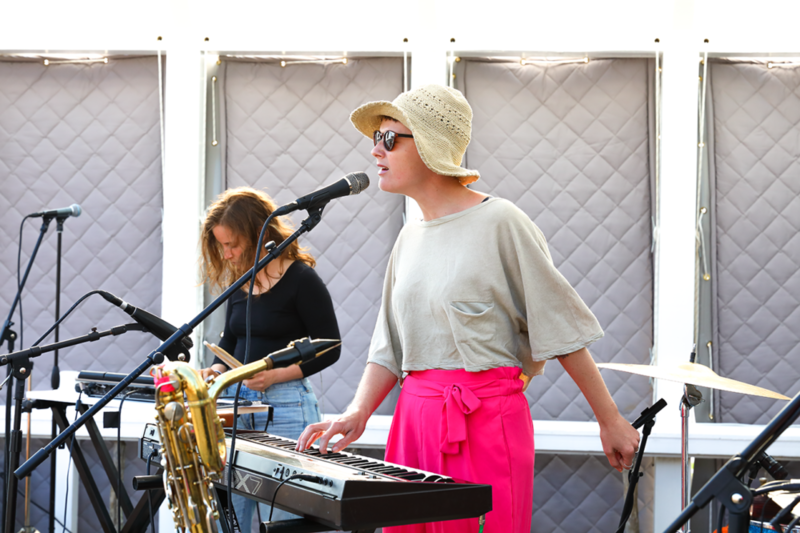 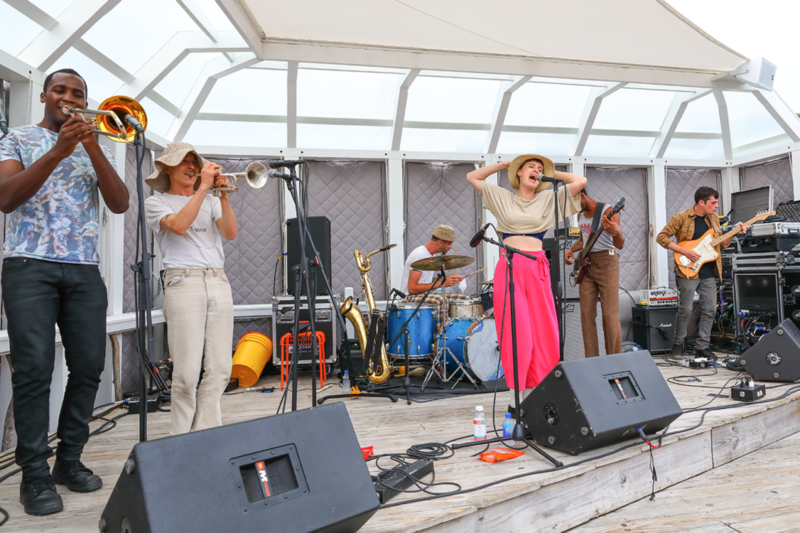 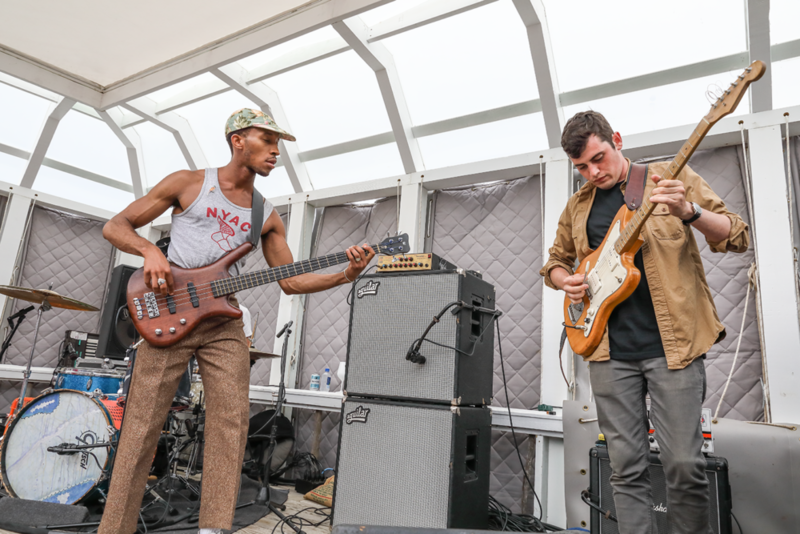 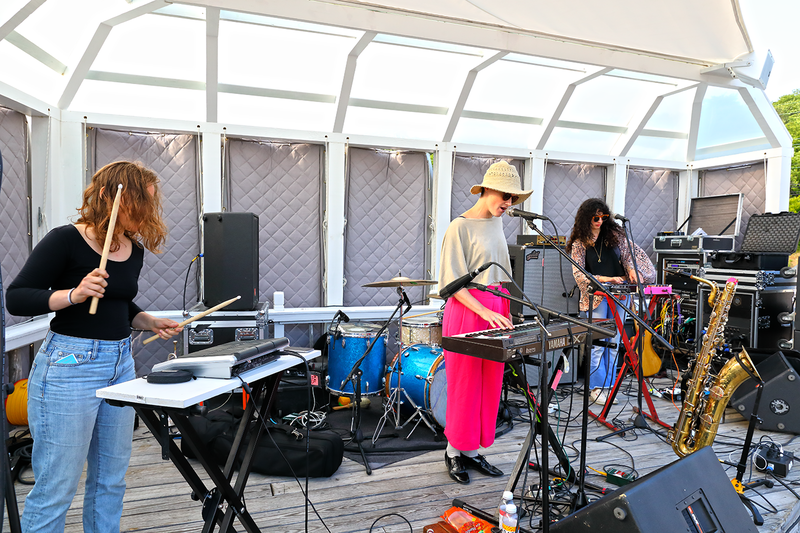 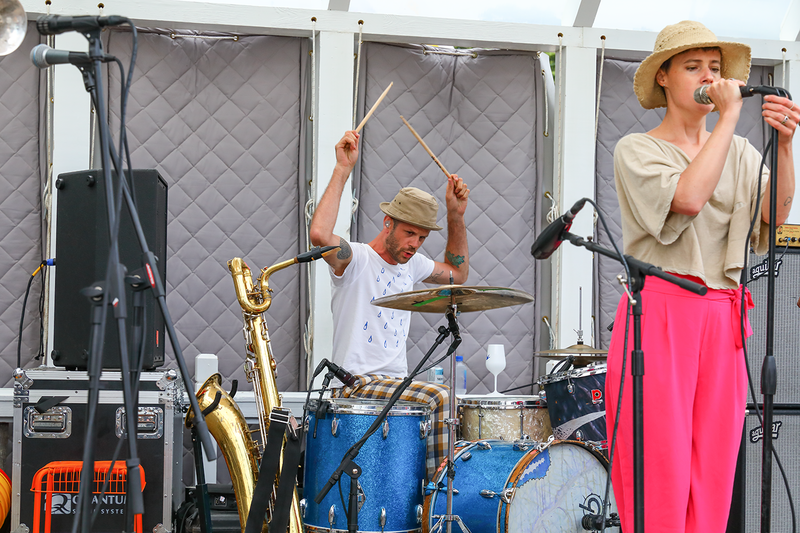 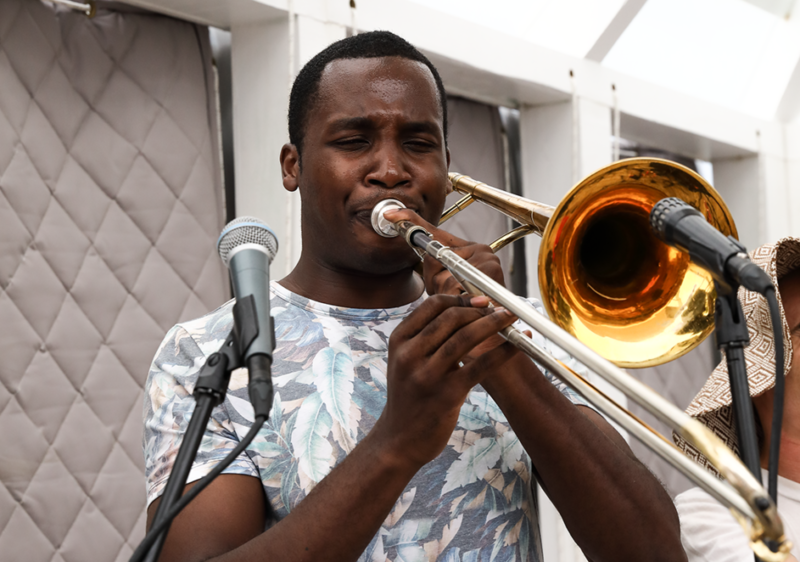 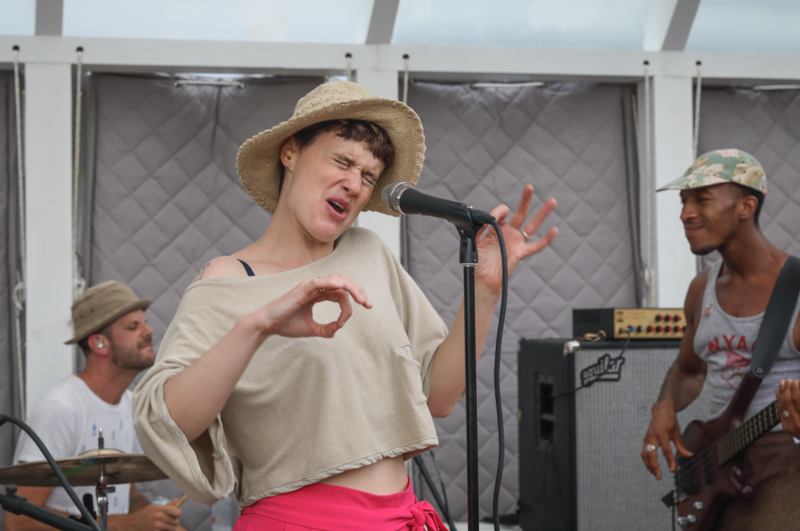 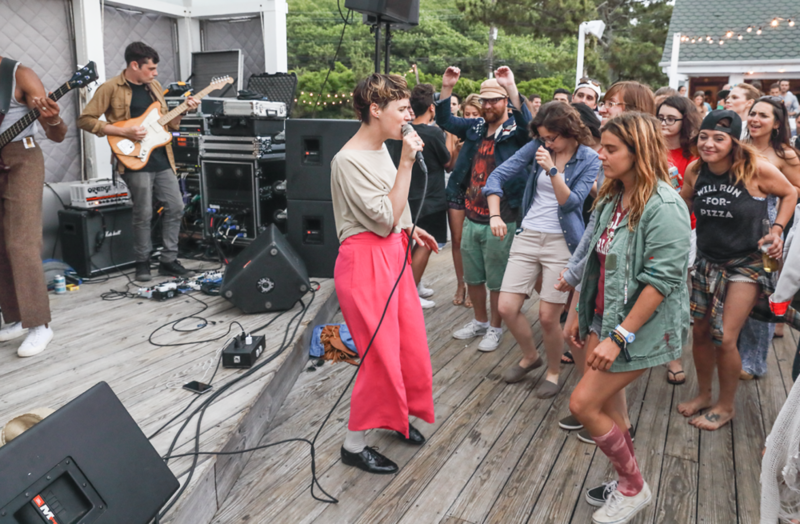 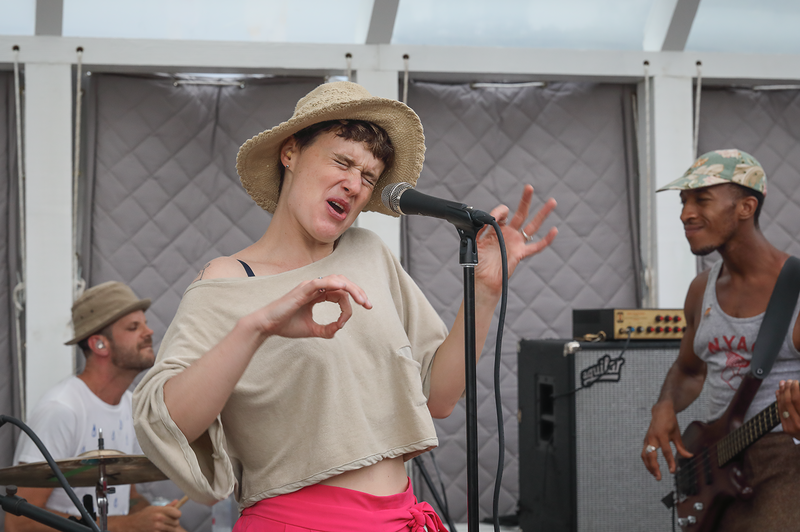 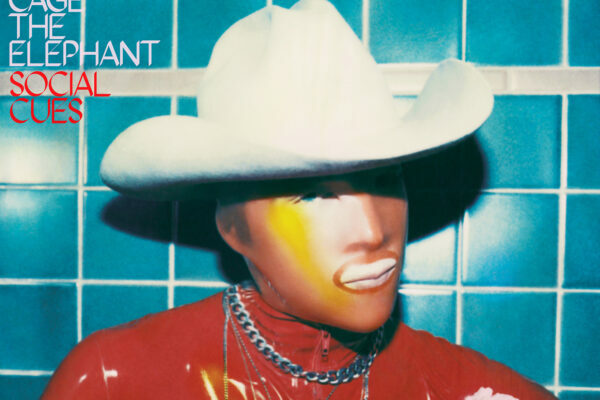 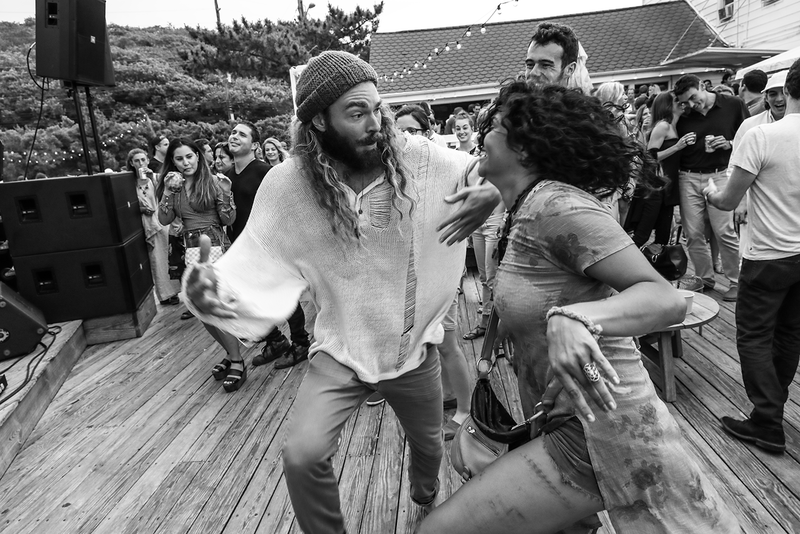 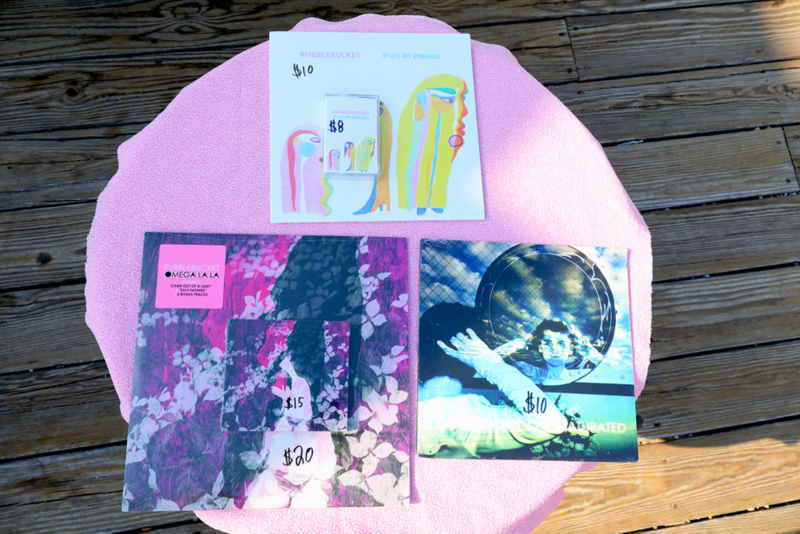 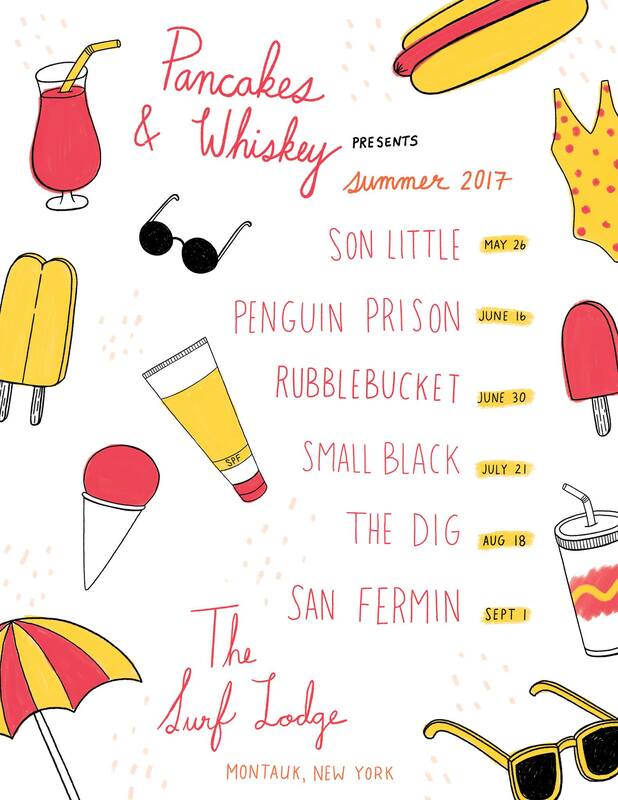 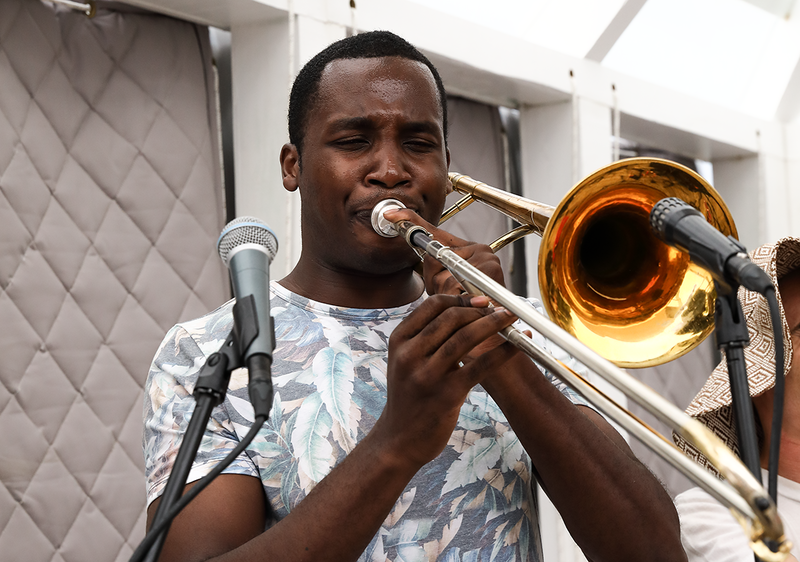 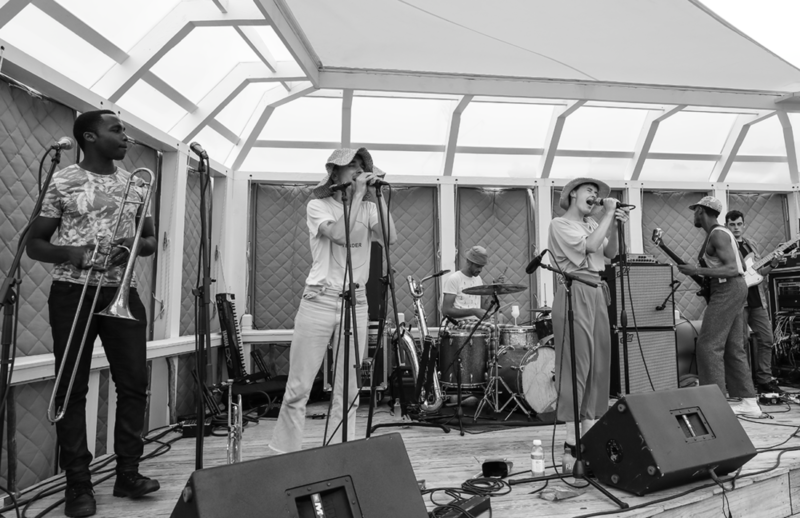 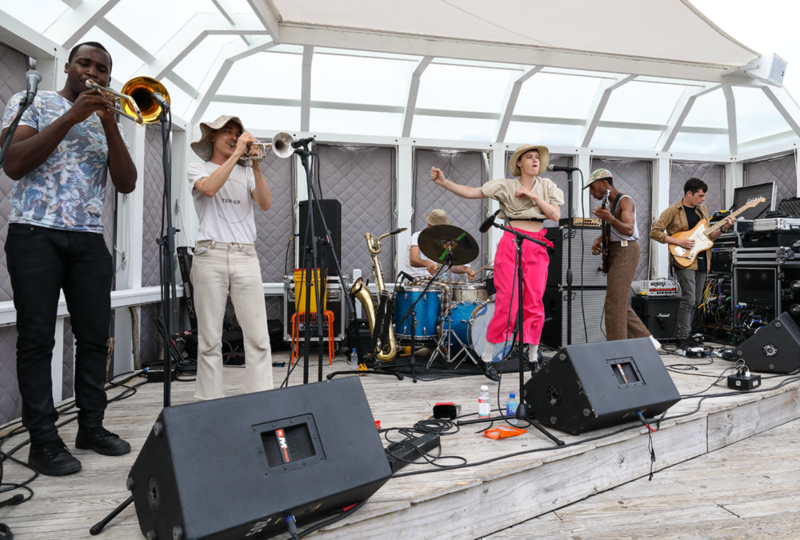 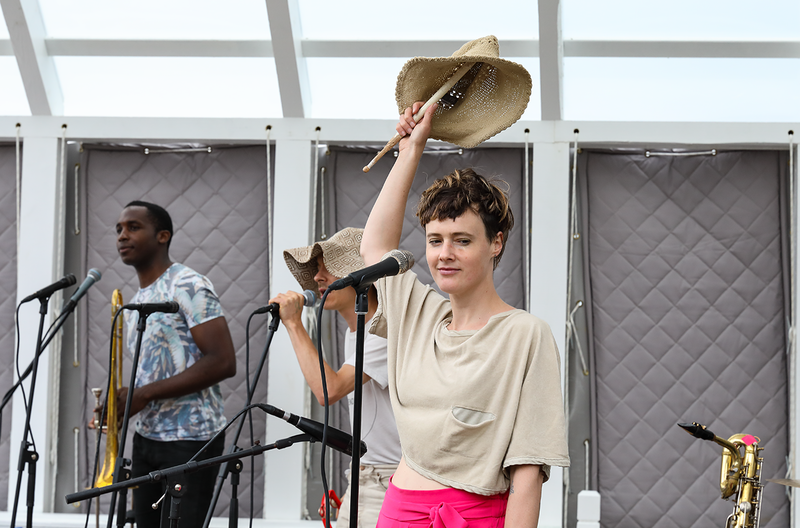 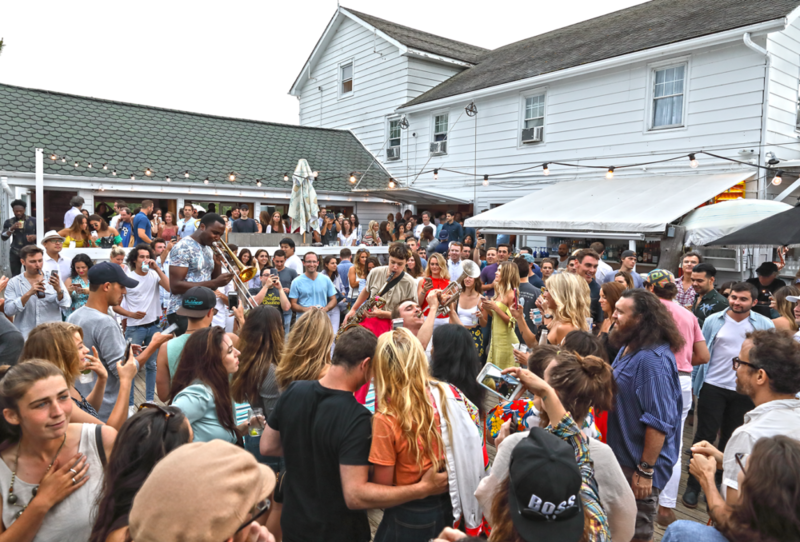 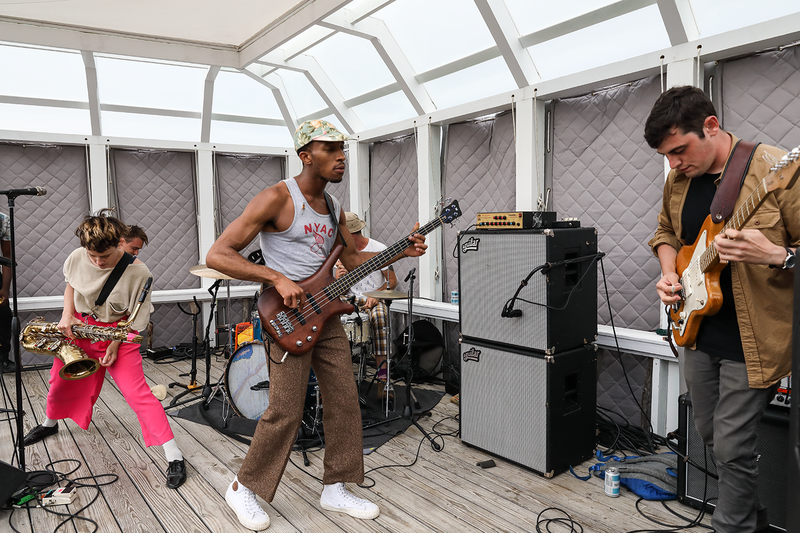 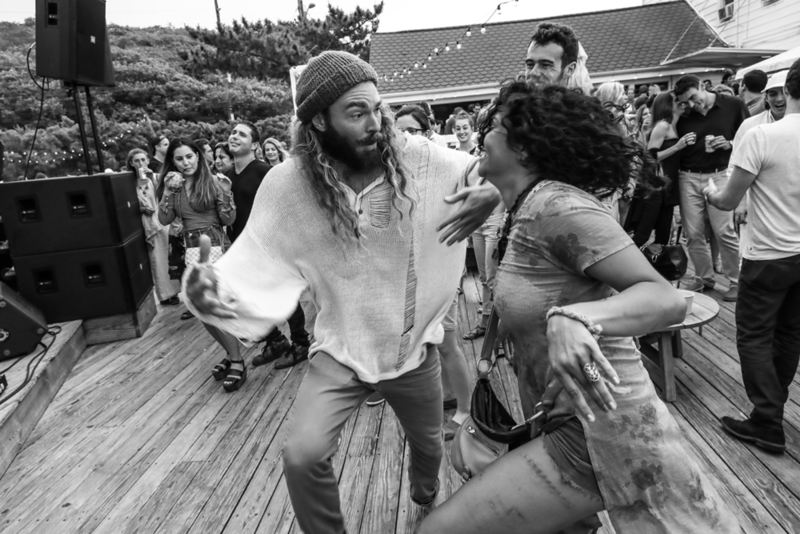 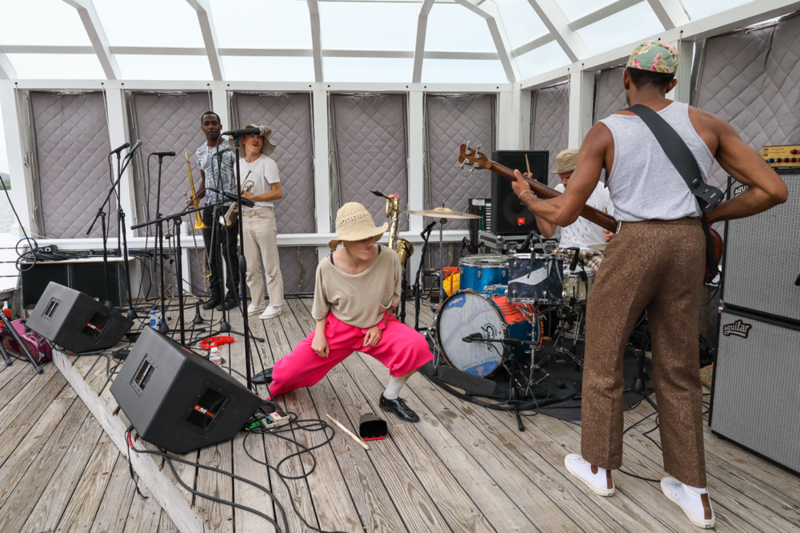 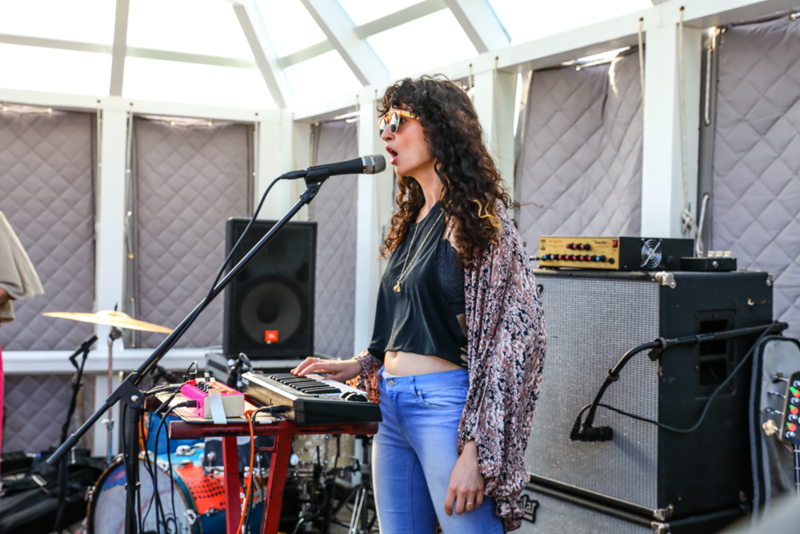 We have three more FREE shows at The Surf Lodge this summer, so don’t miss out on the fun with Small Black on 7-21, The Dig on 8-18 and San Fermin on 9-1.